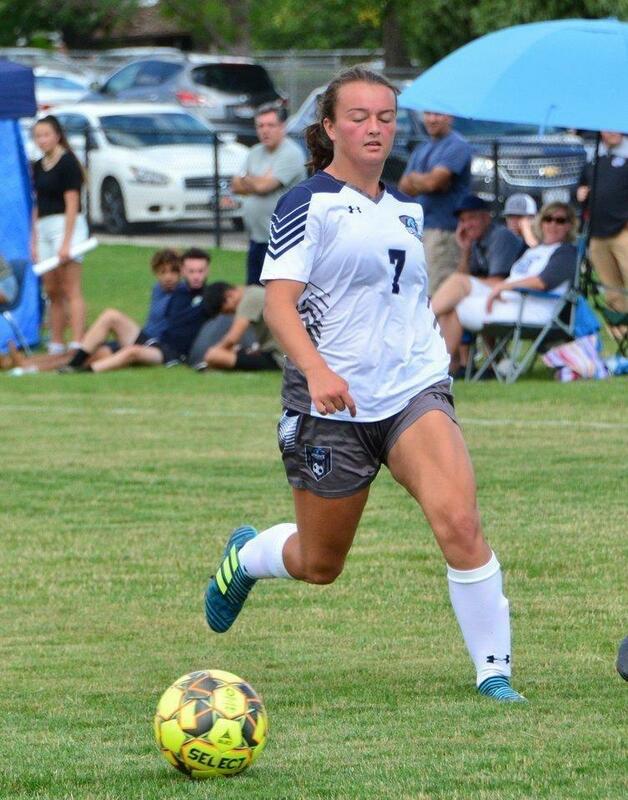 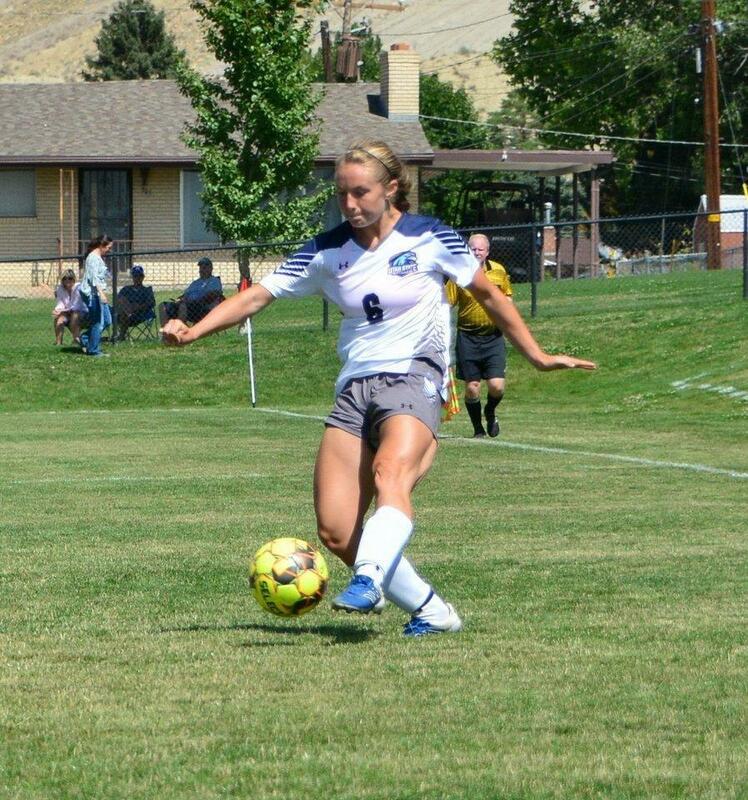 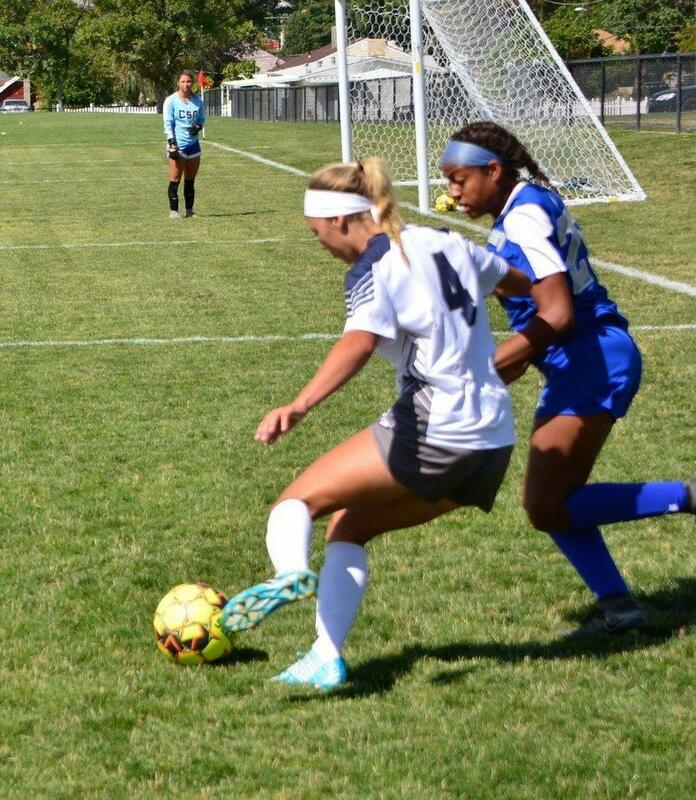 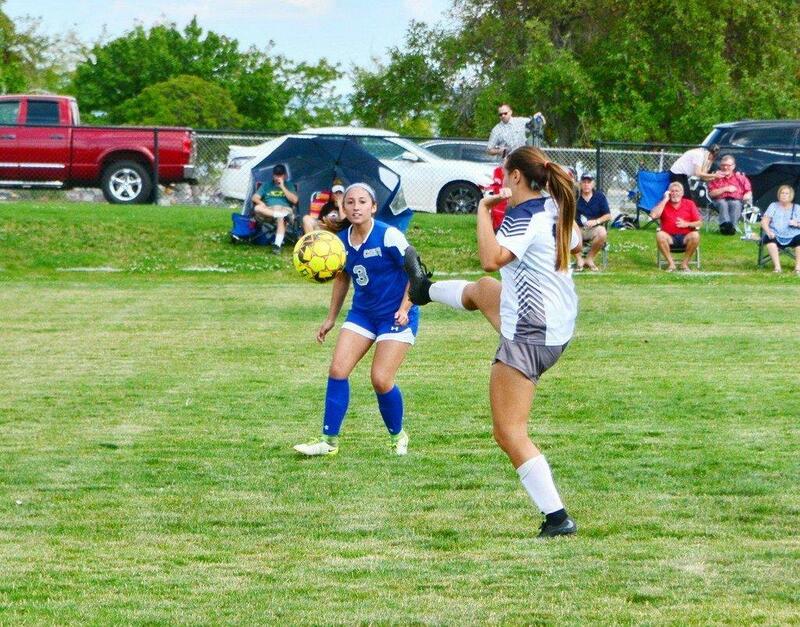 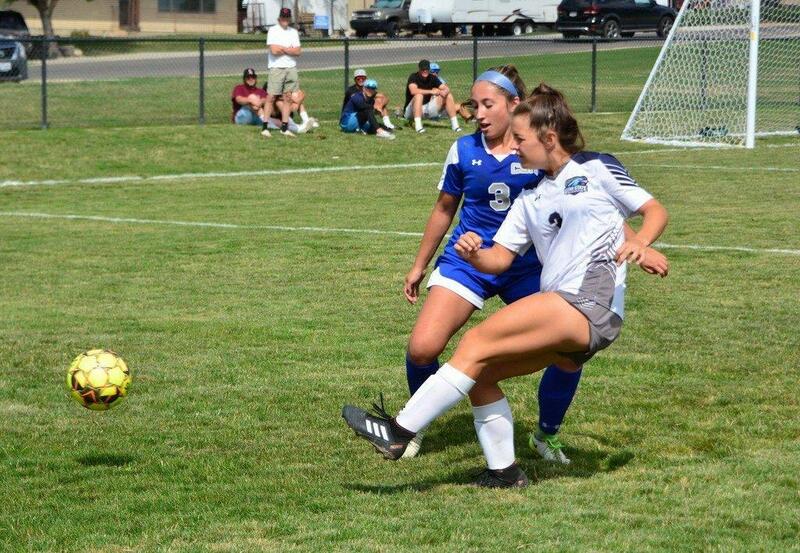 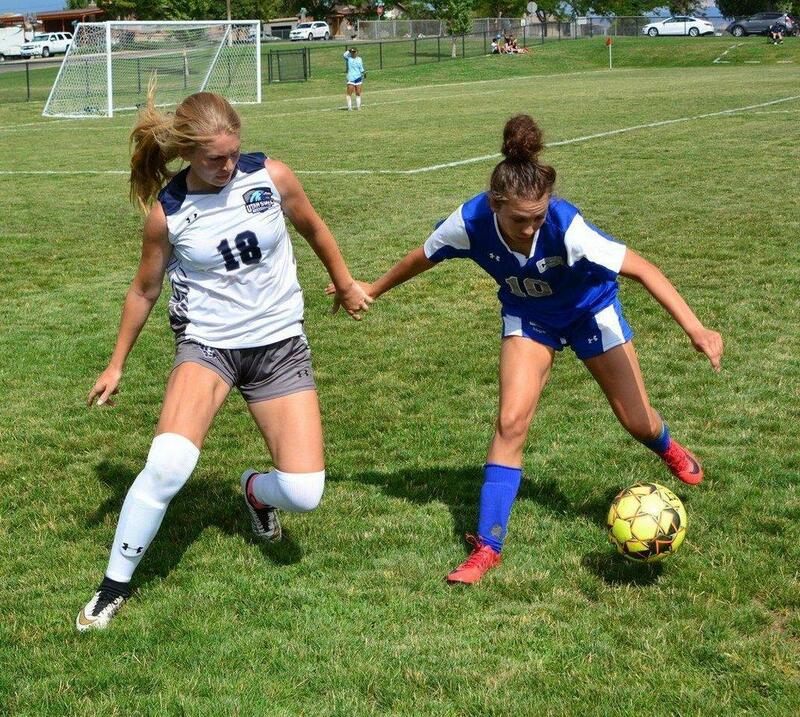 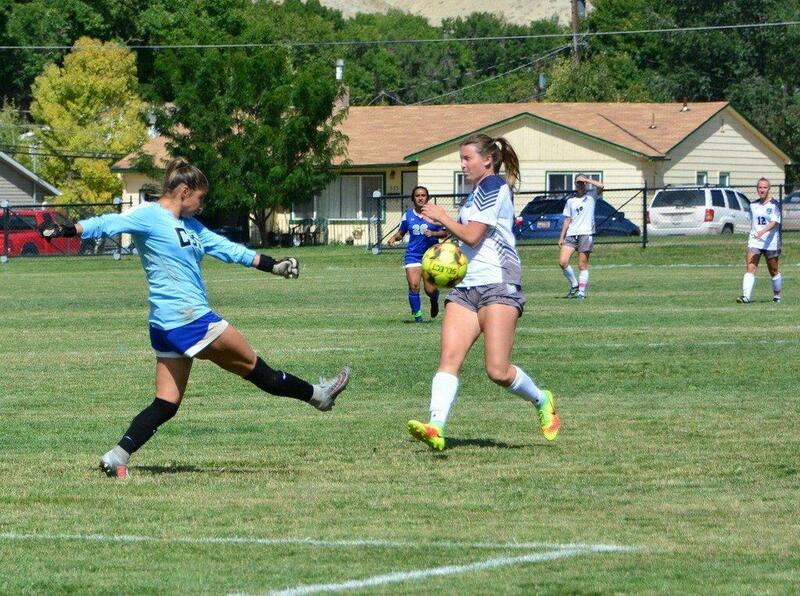 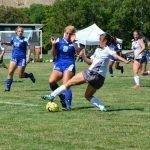 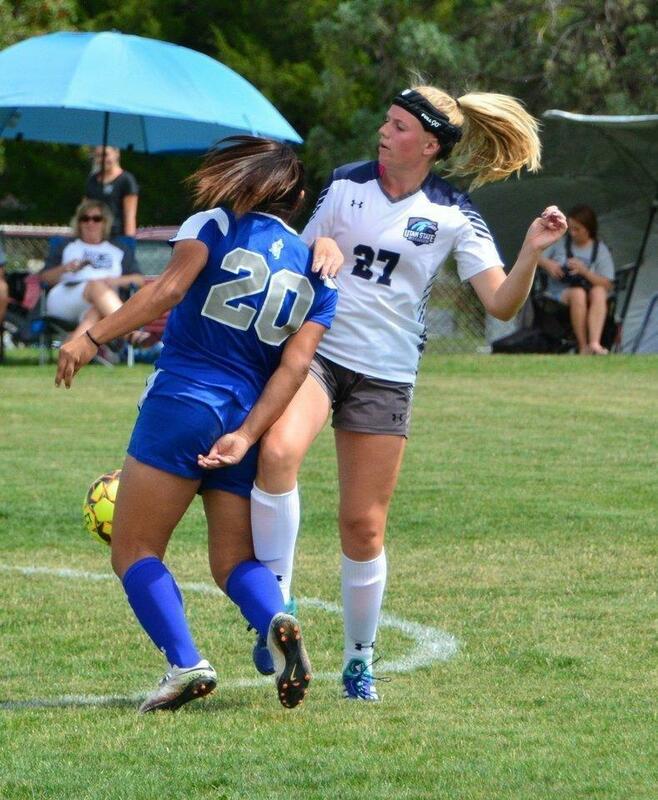 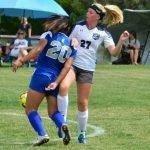 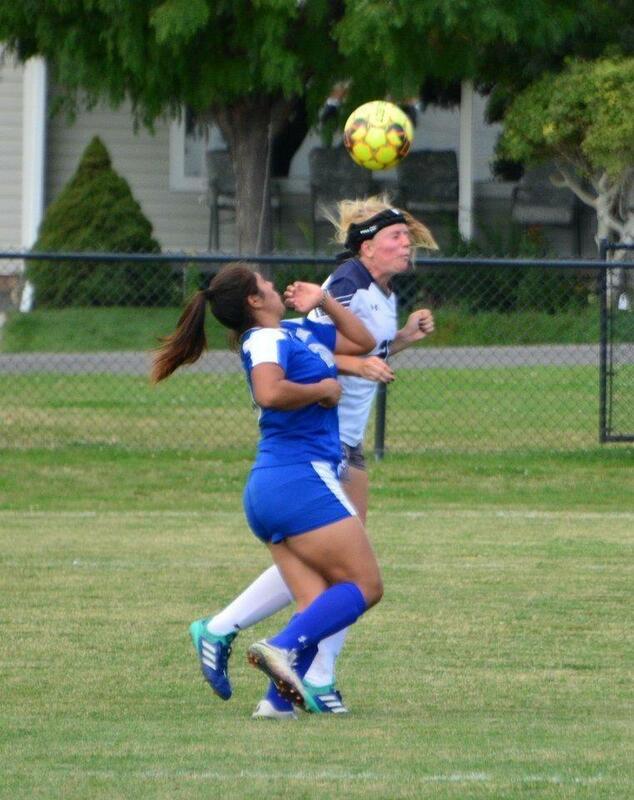 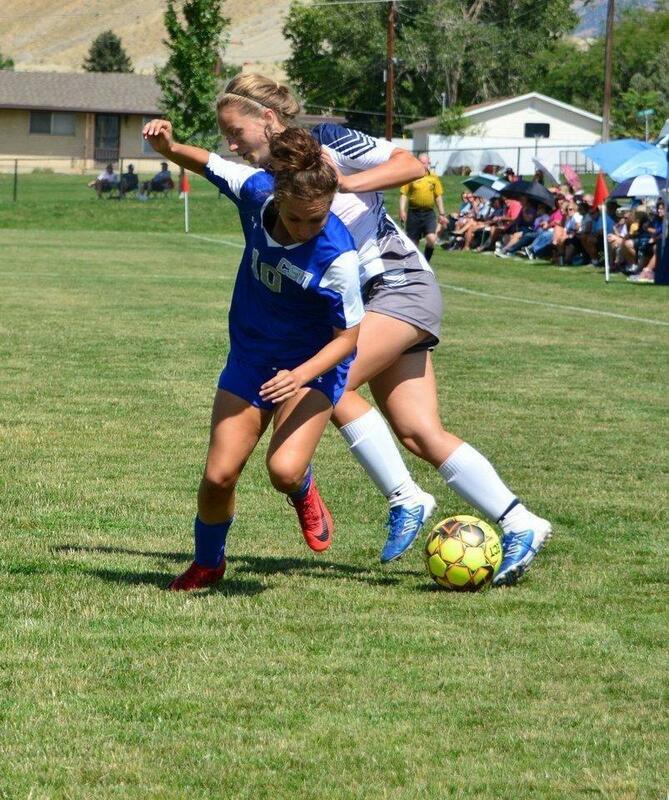 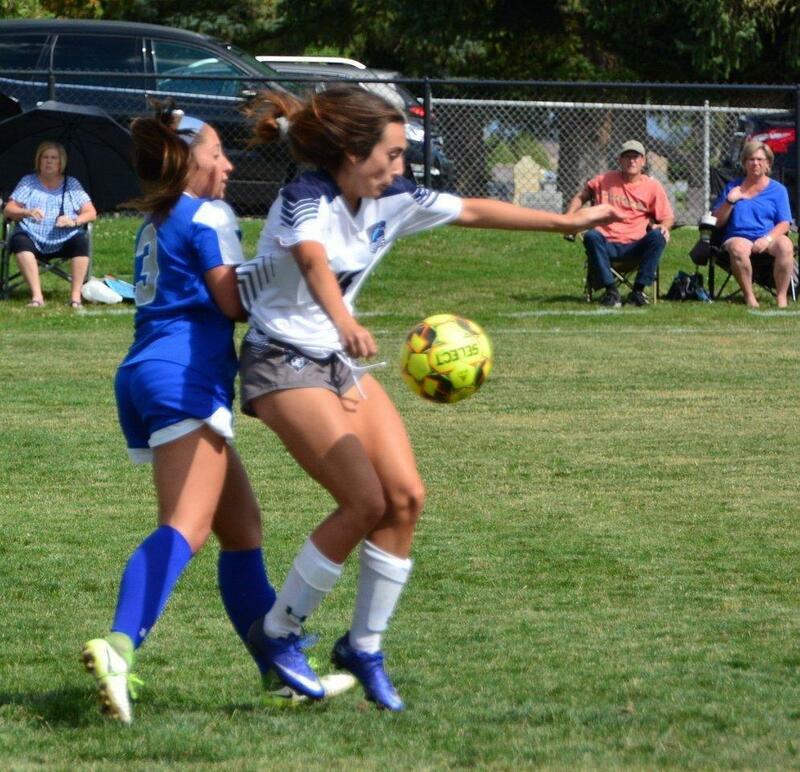 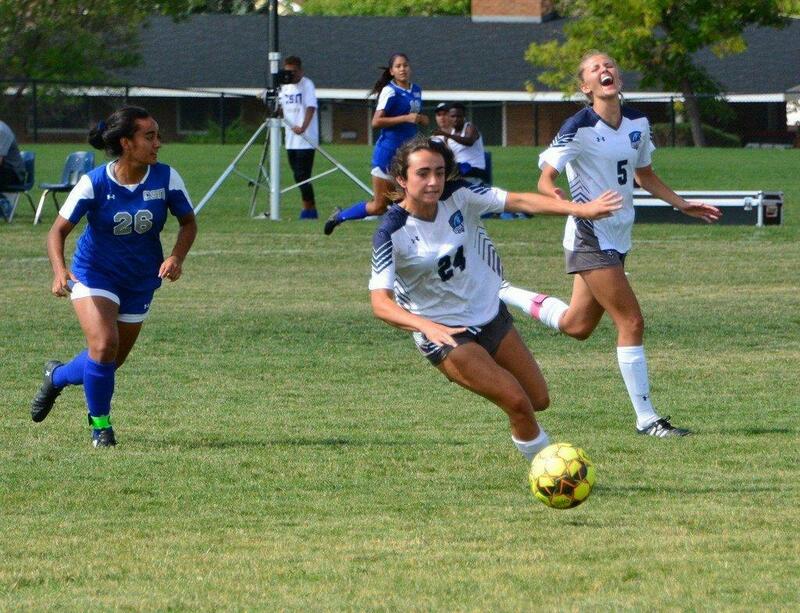 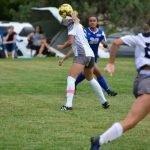 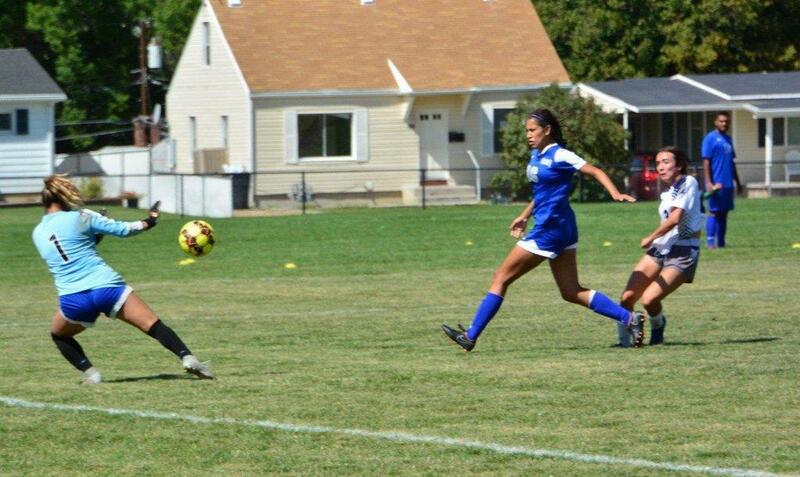 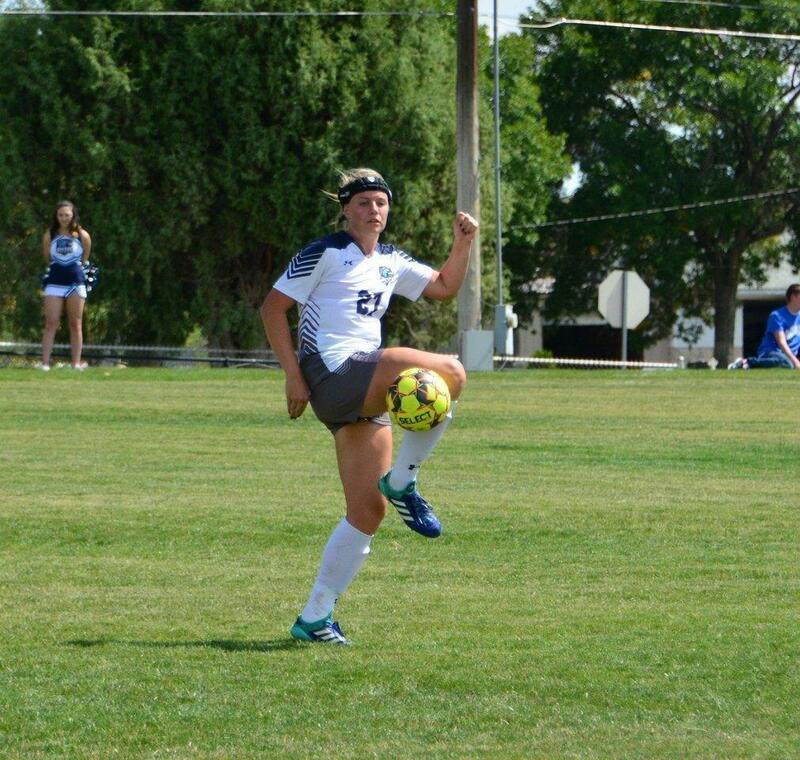 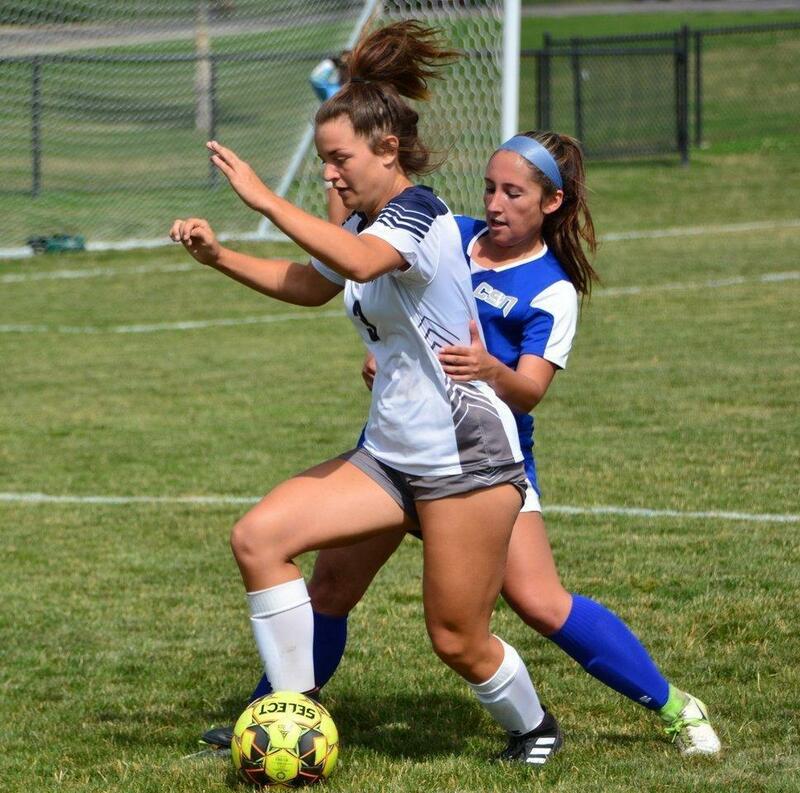 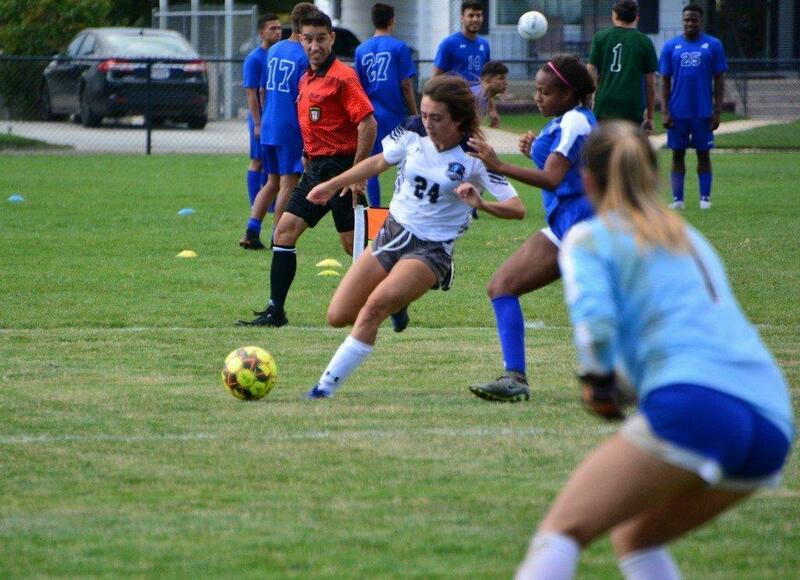 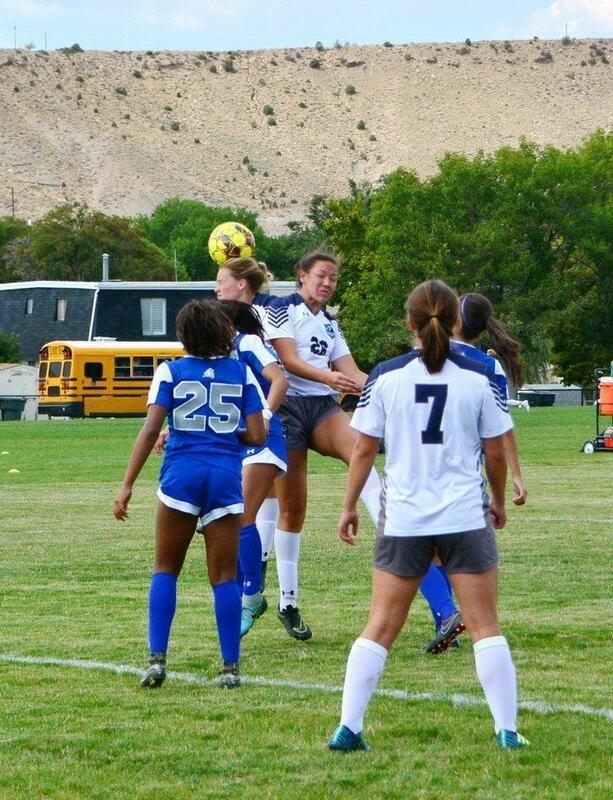 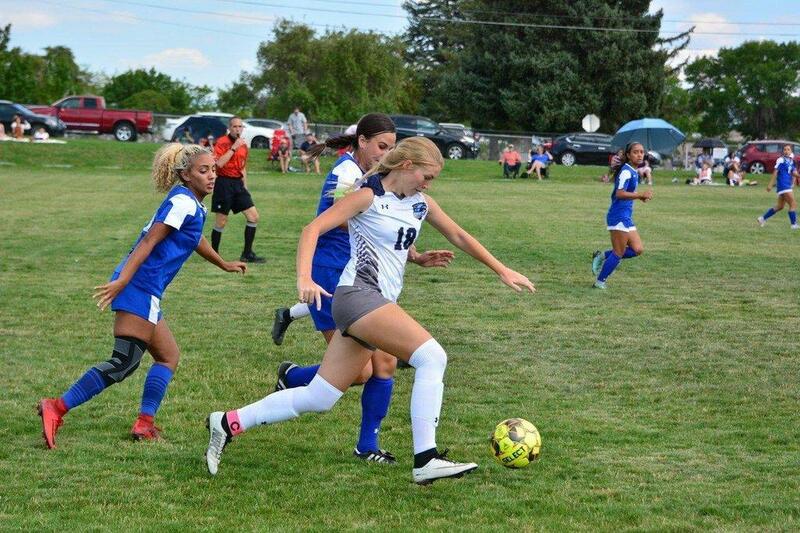 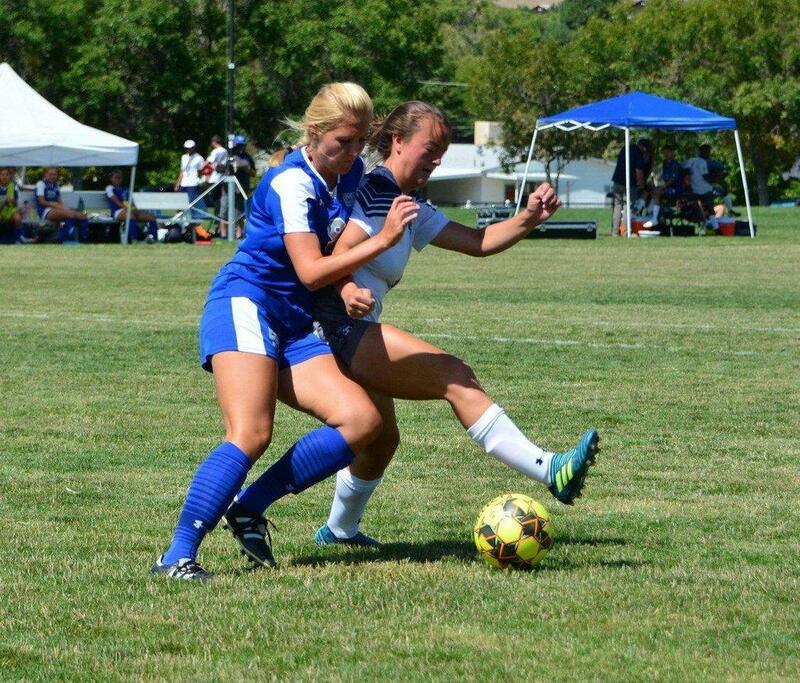 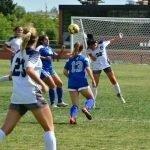 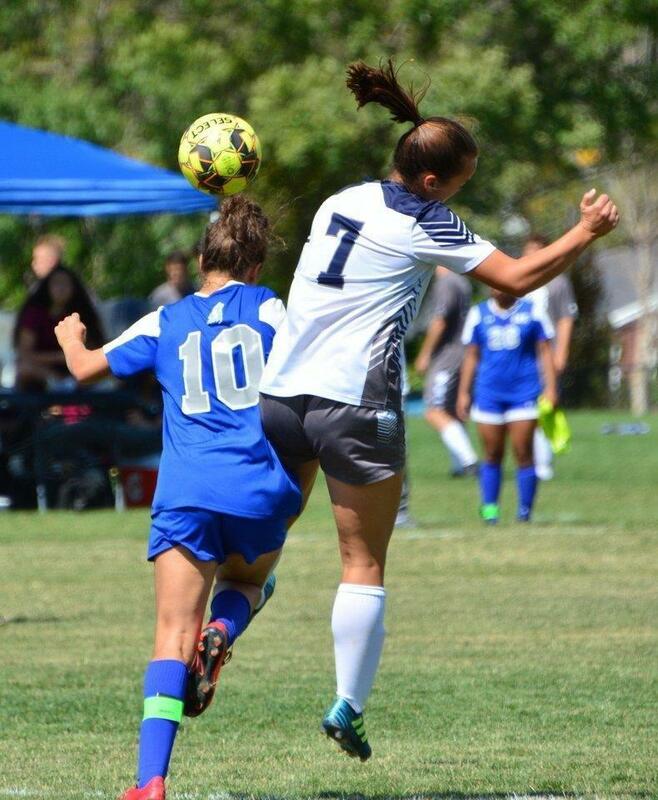 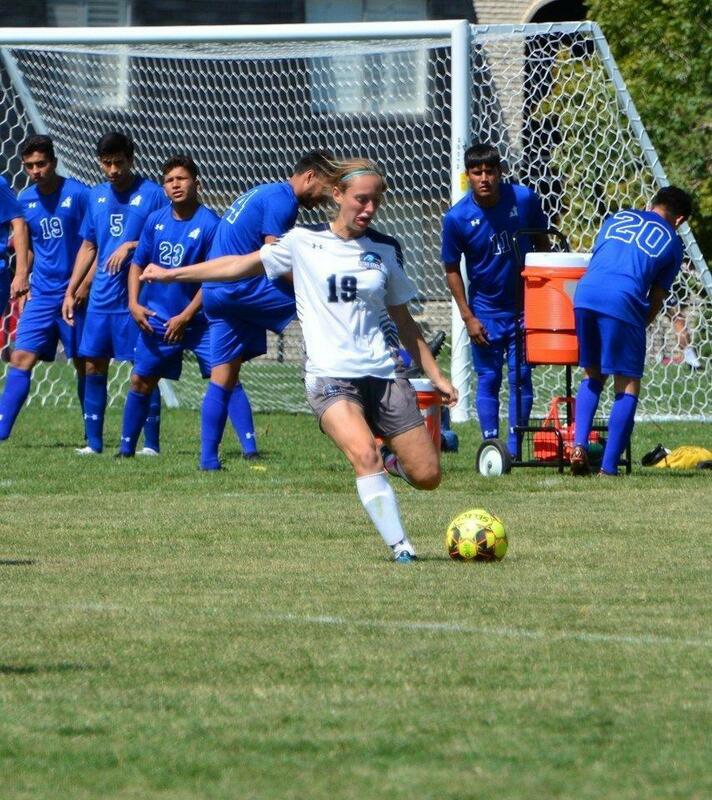 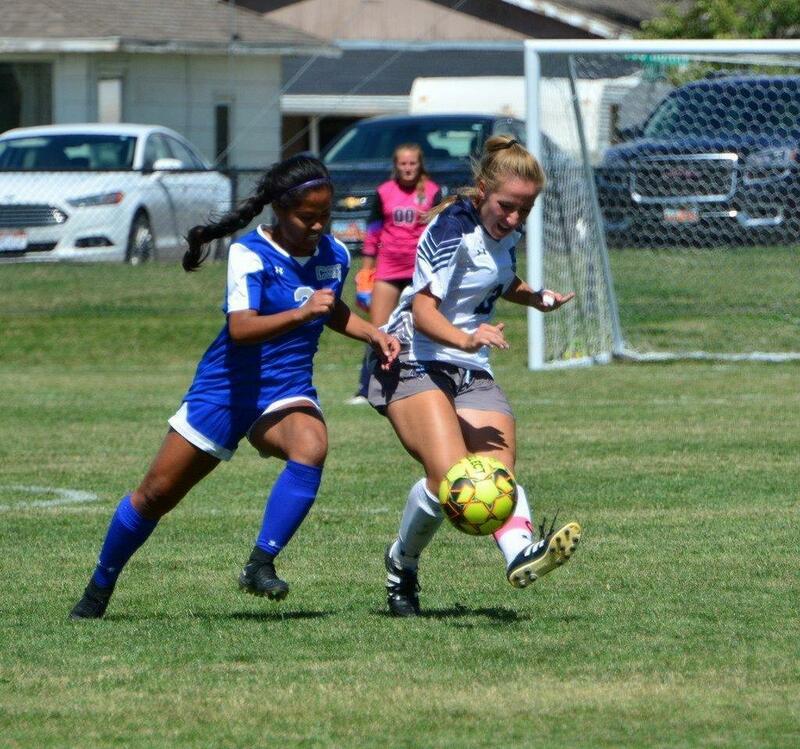 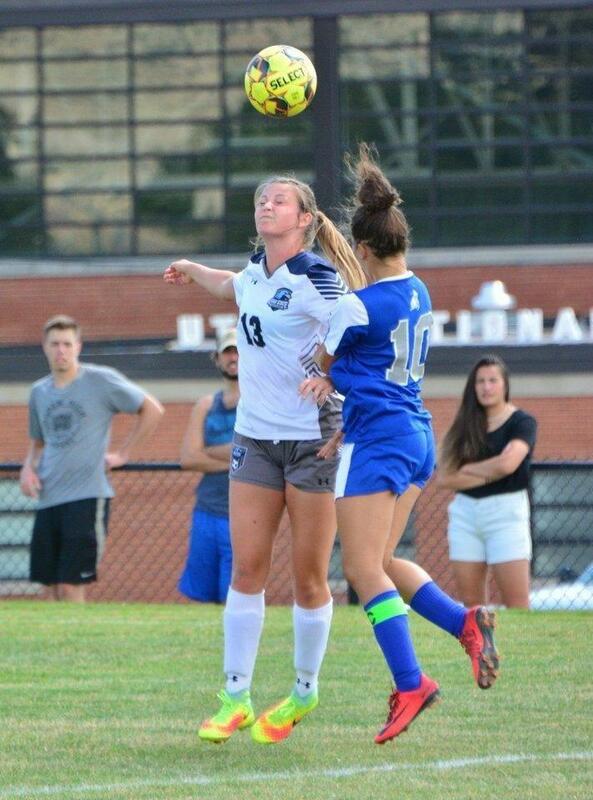 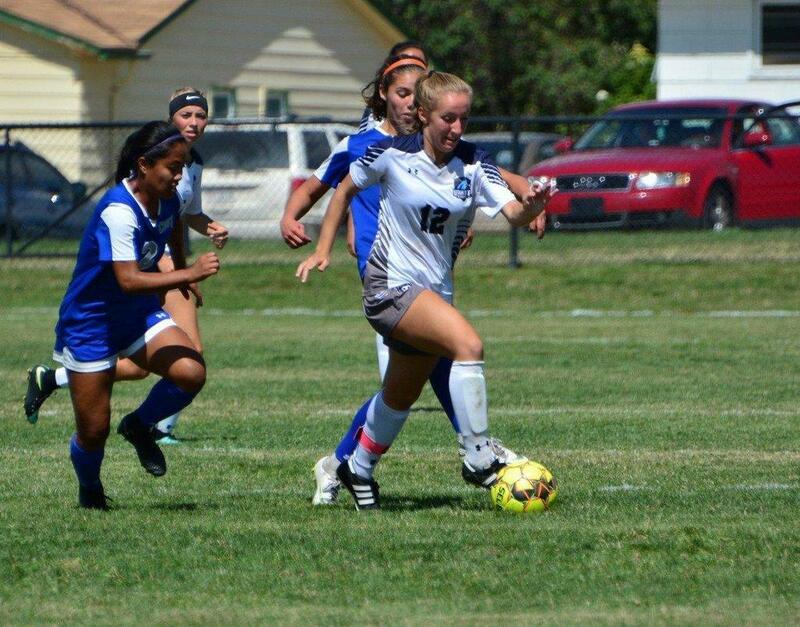 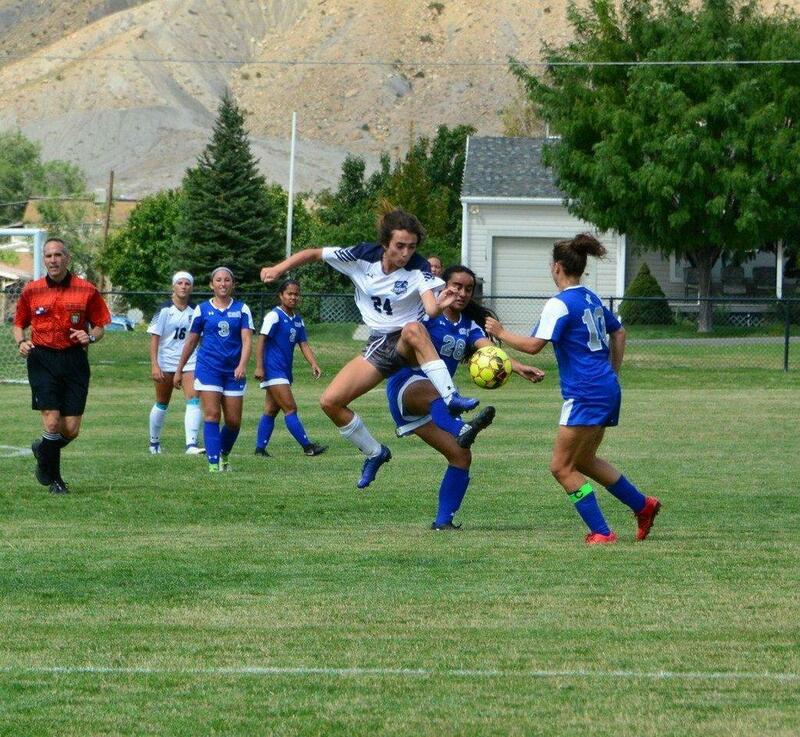 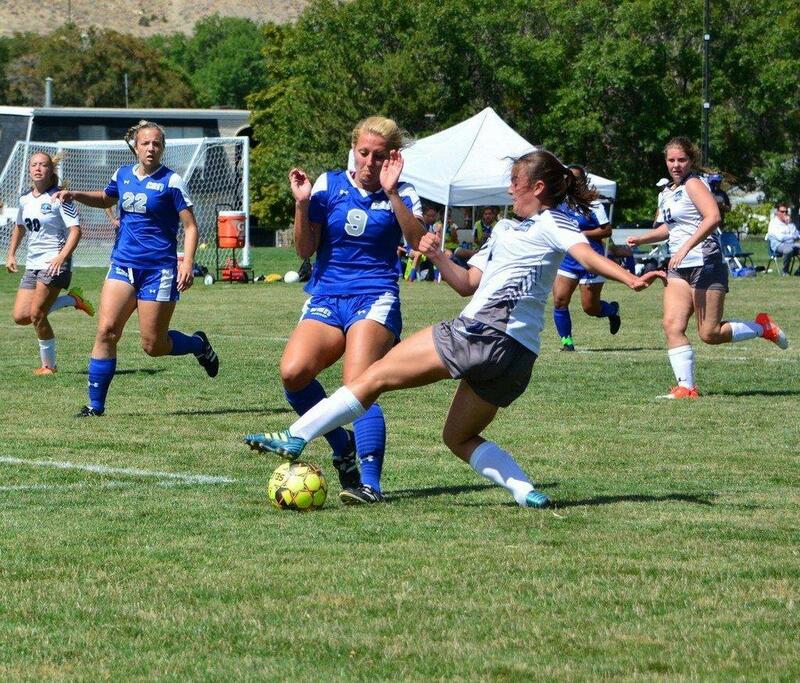 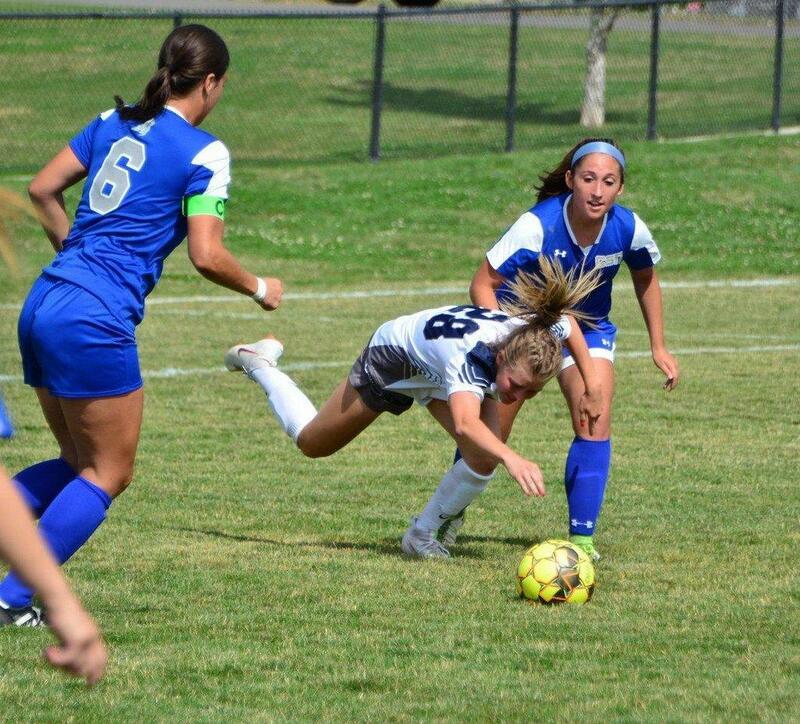 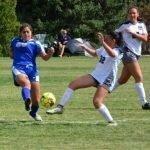 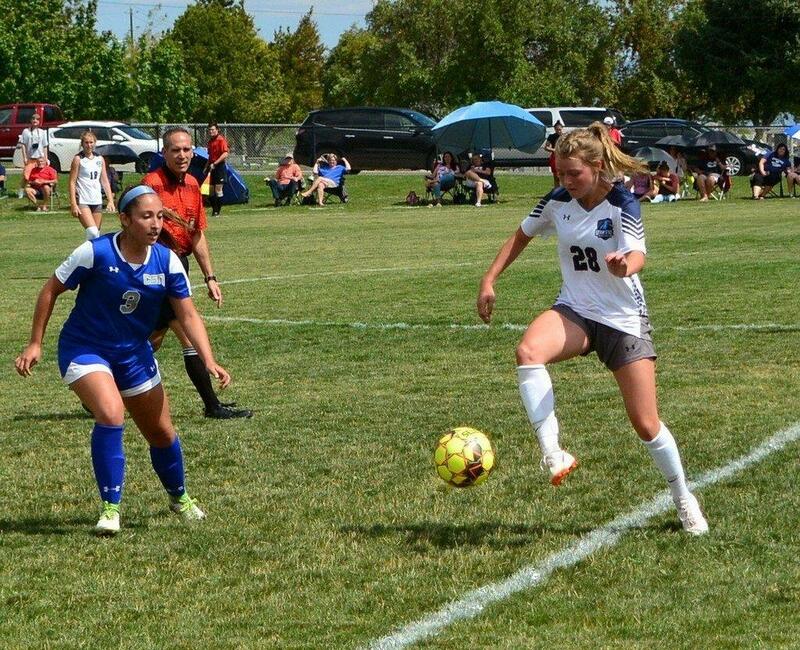 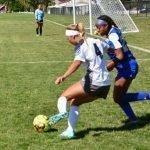 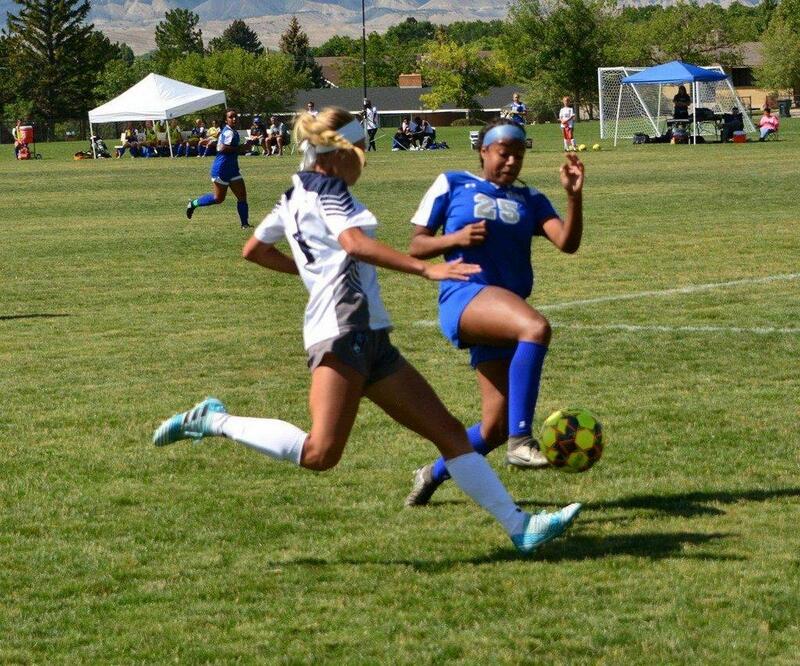 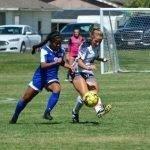 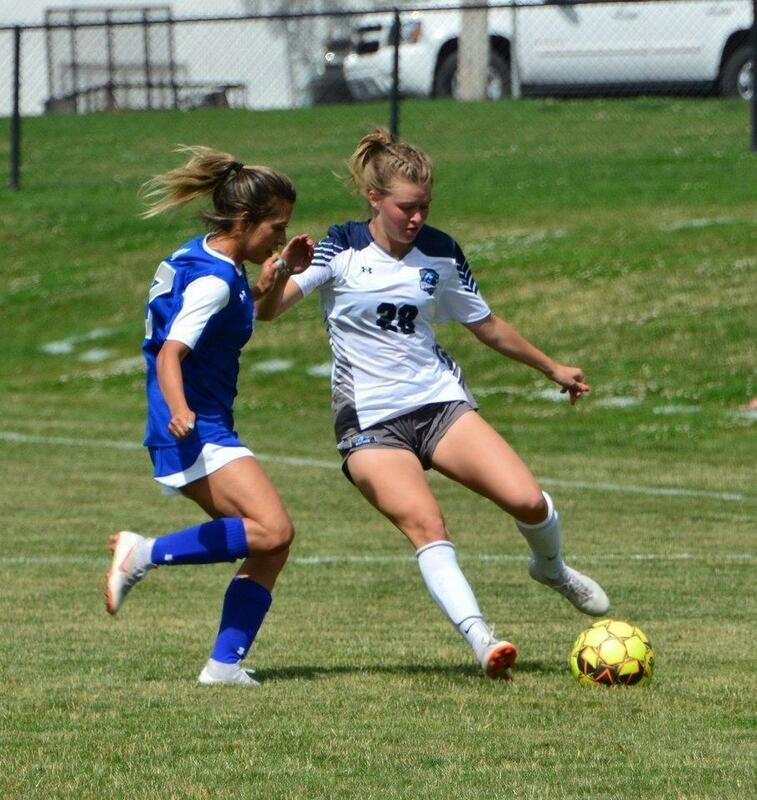 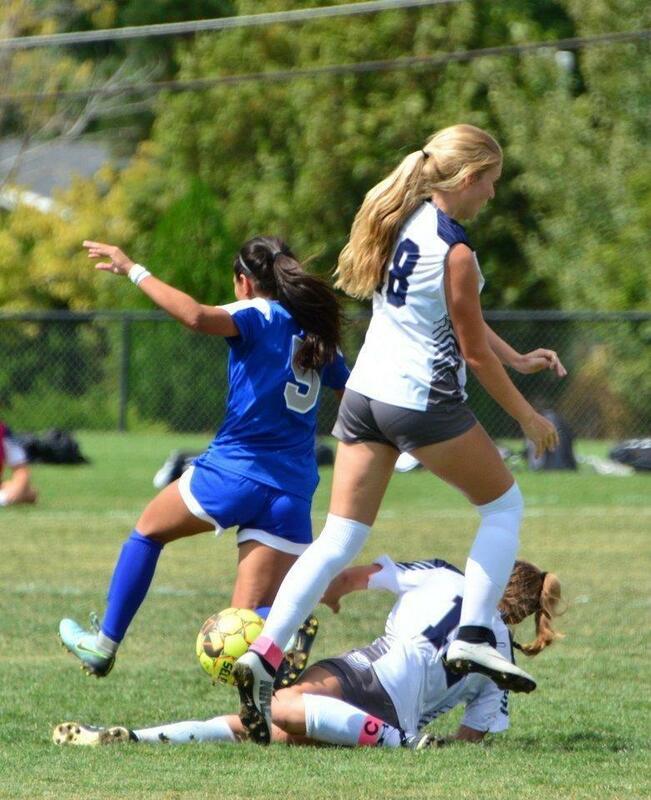 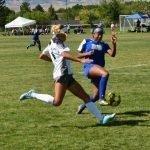 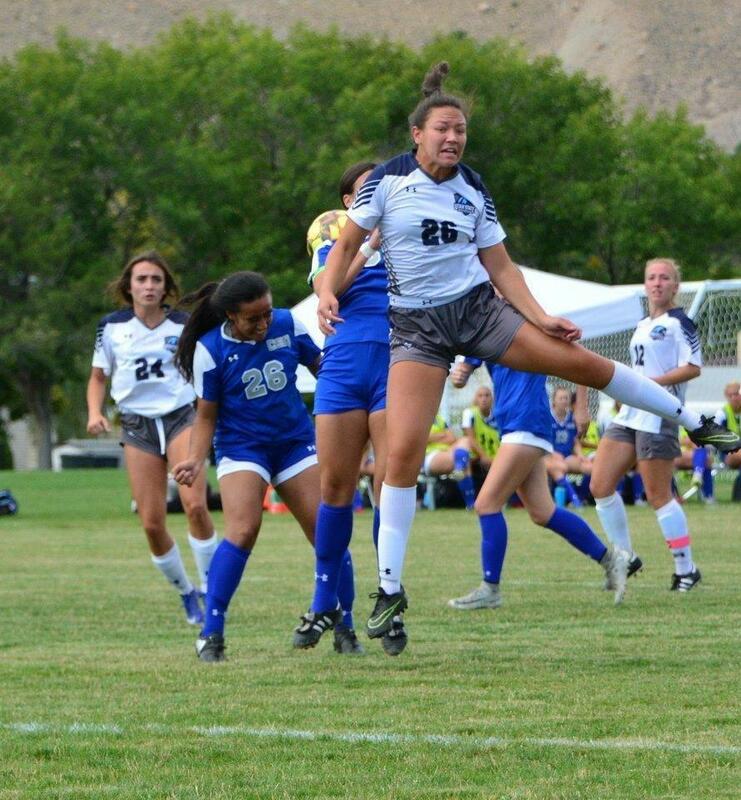 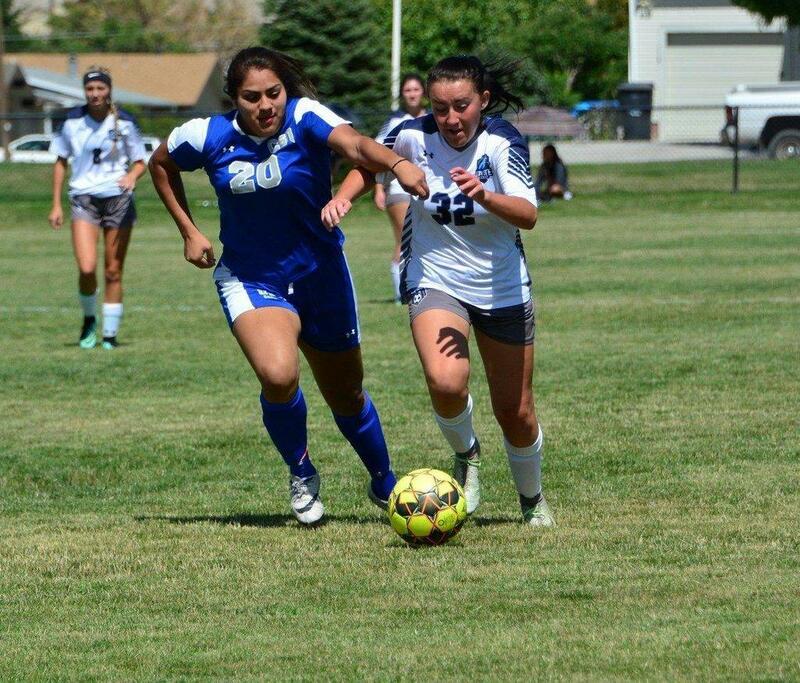 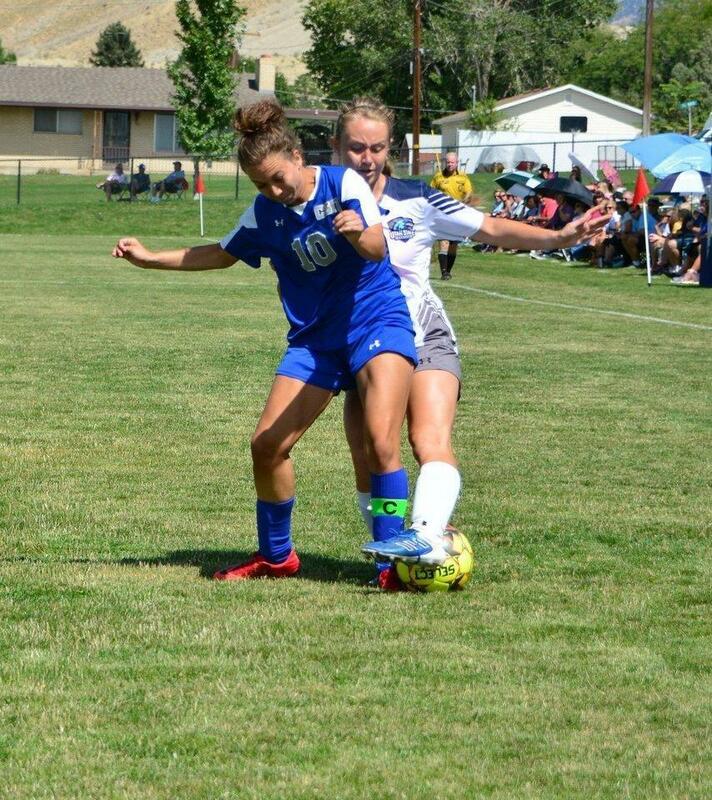 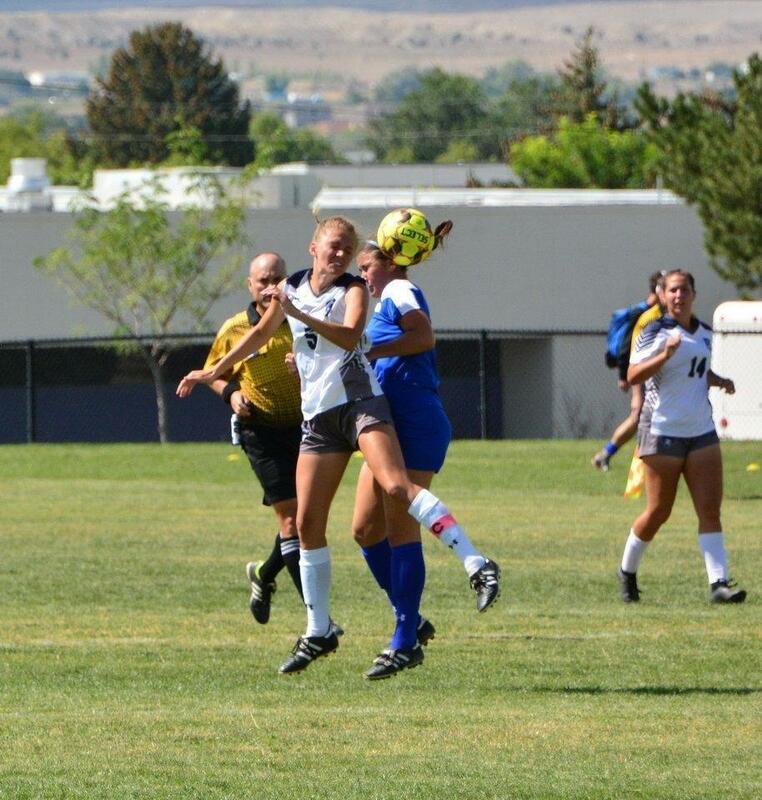 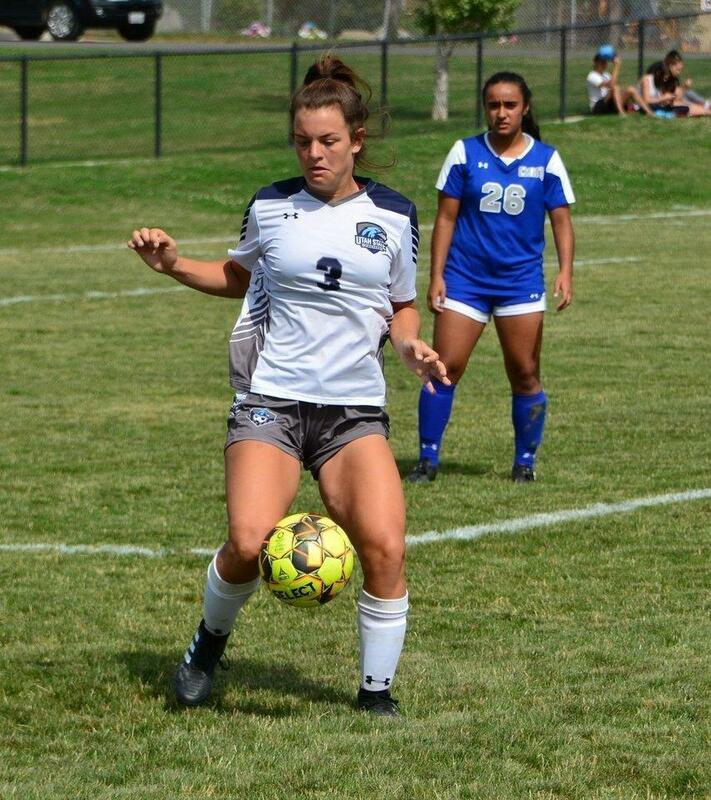 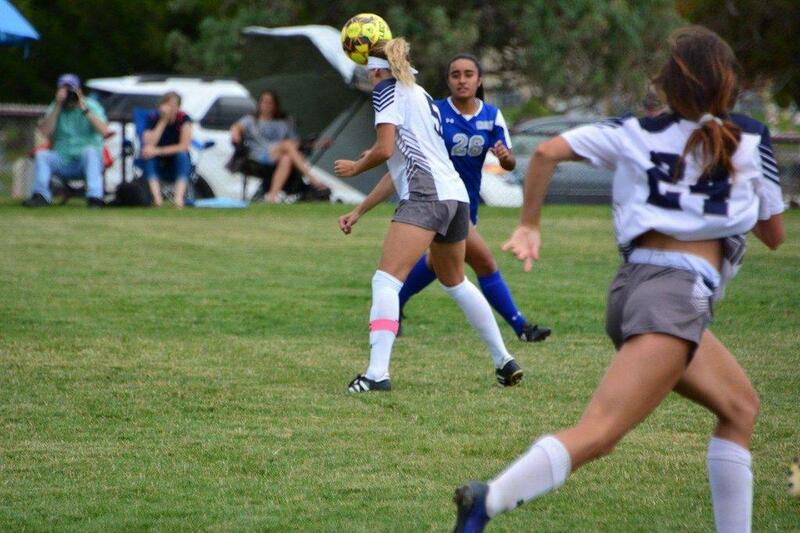 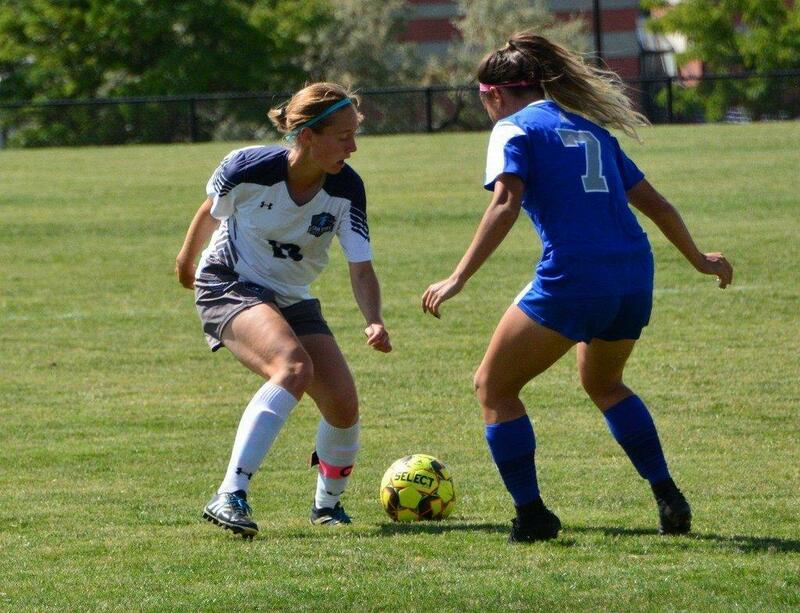 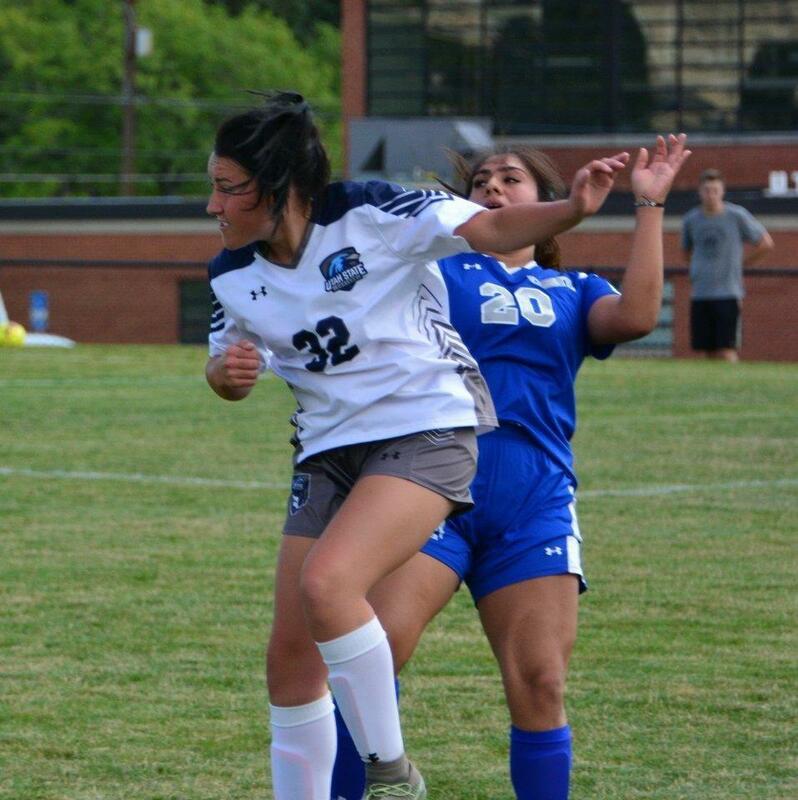 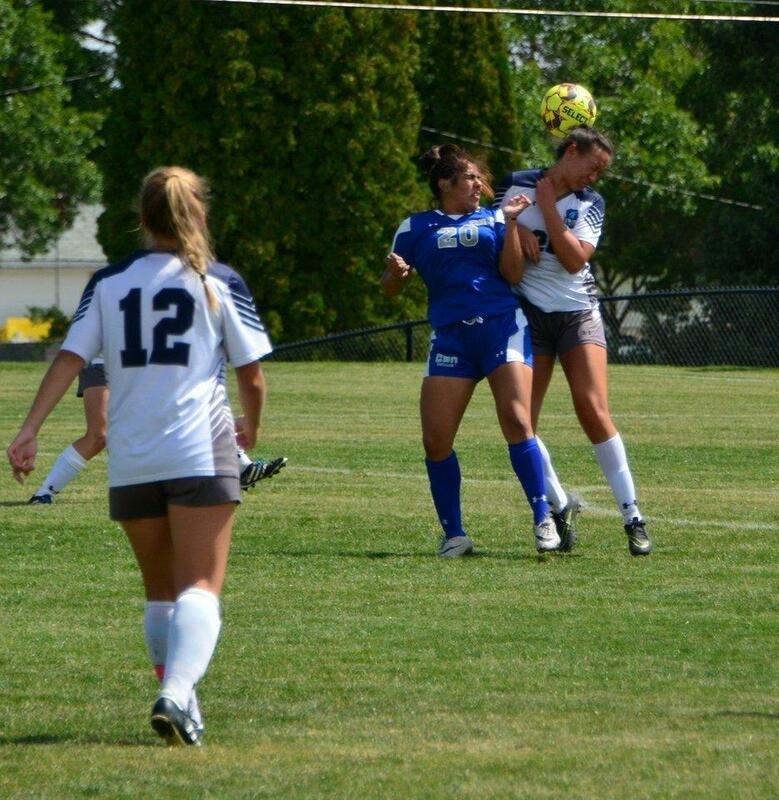 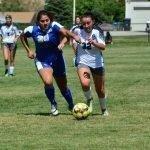 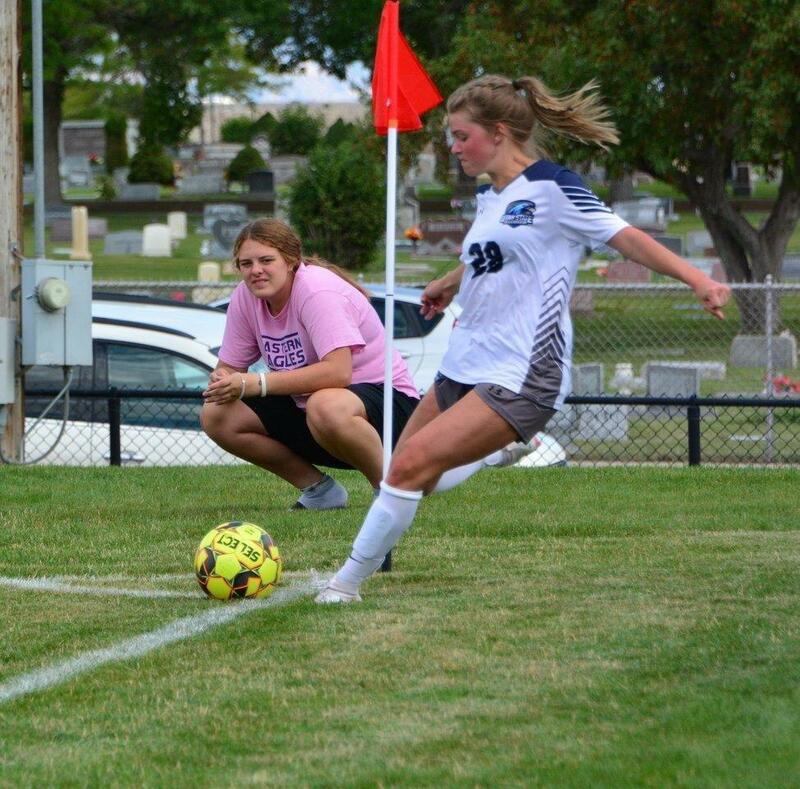 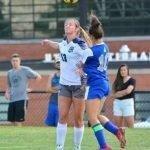 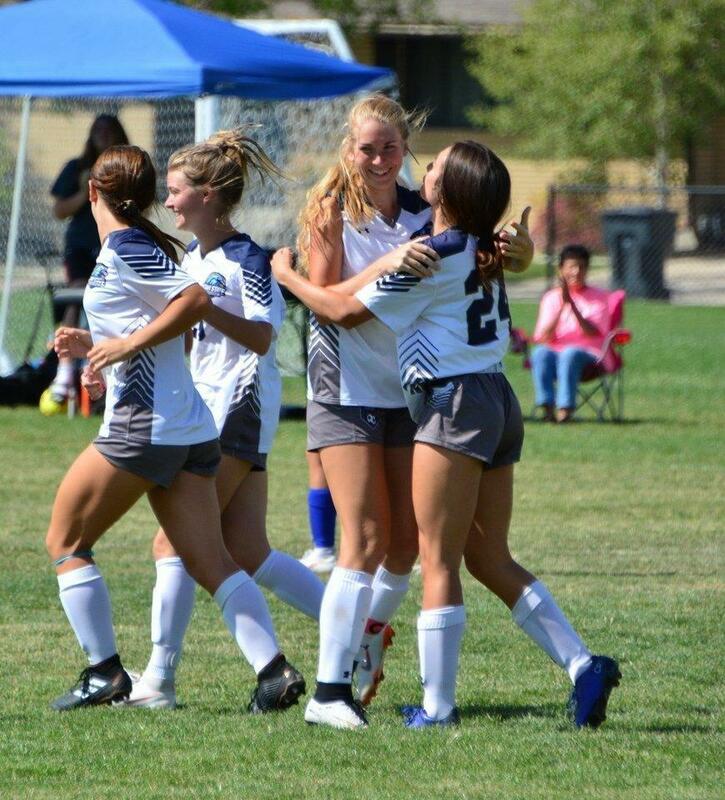 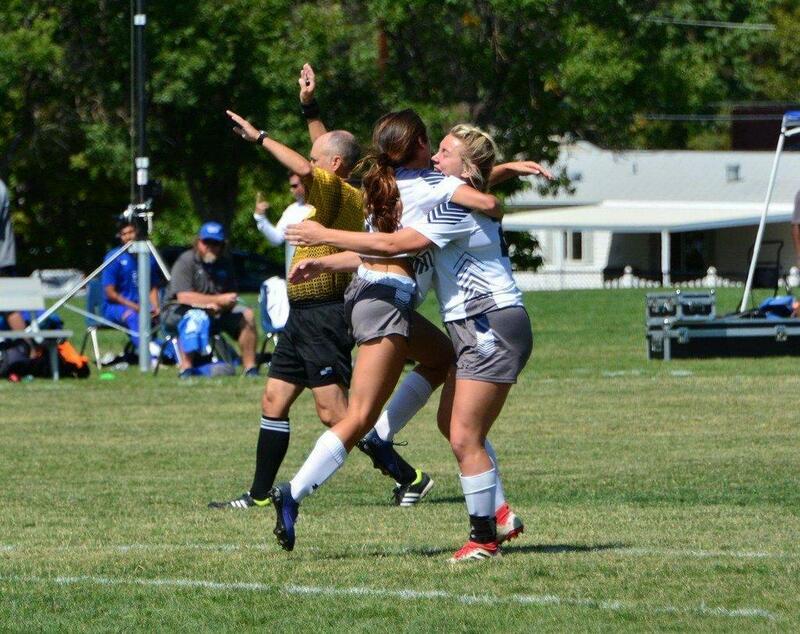 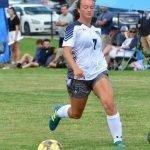 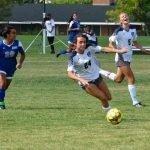 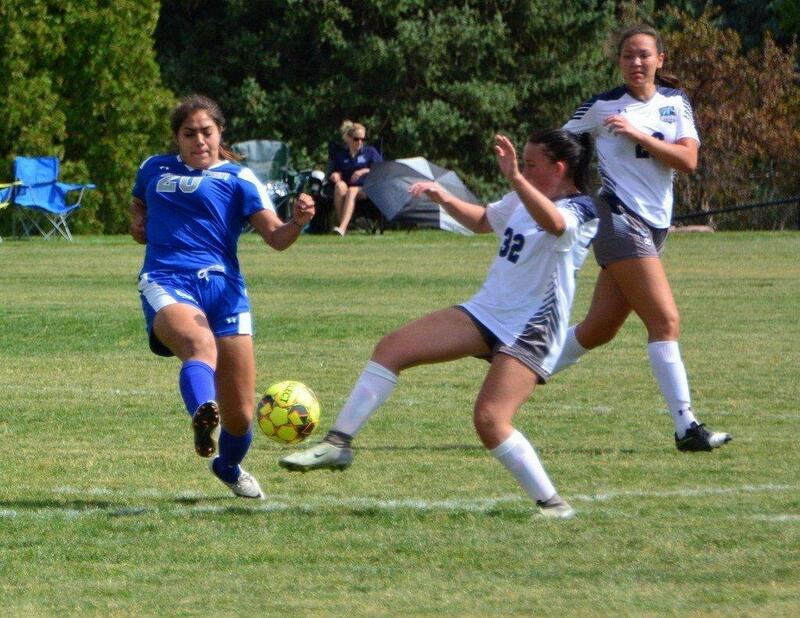 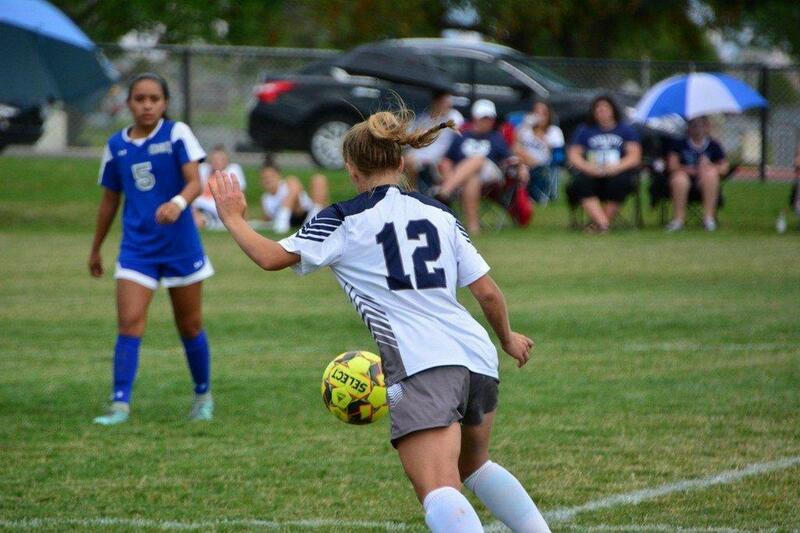 Utah State Eastern women’s soccer tied and defeated the College of Southern Nevada Coyotes on Friday and Saturday at home. 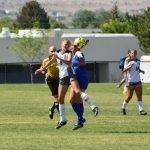 The Eagles battled on Friday afternoon in the conference opener against the Coyotes and ended in a 2-2 tie. 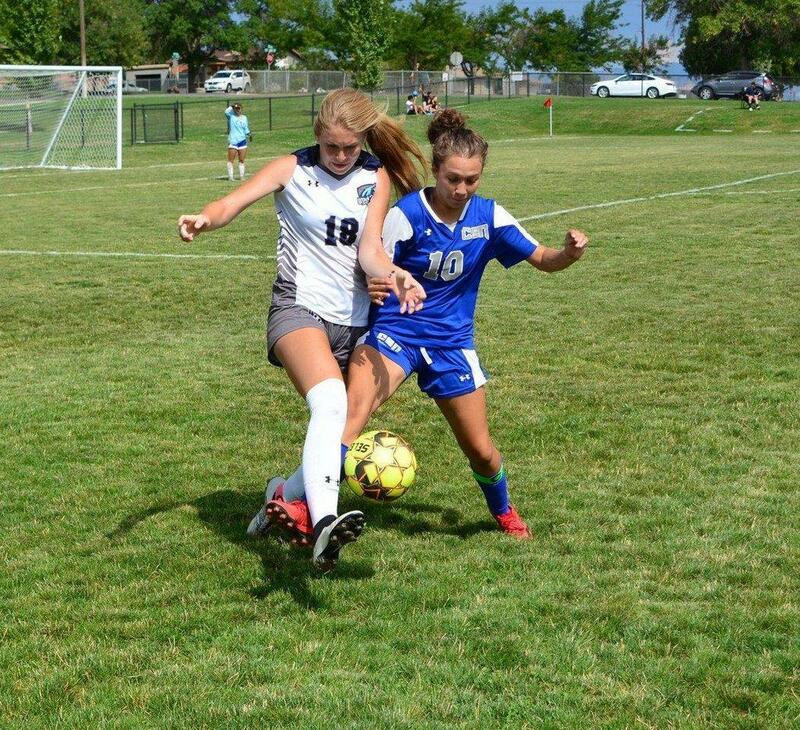 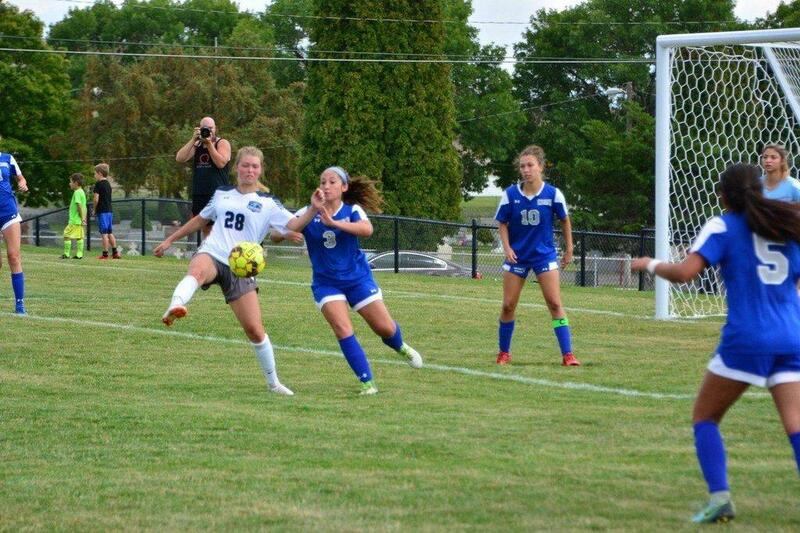 Sophomore McKenna Wiscombe continued her impressive start to her season with a goal in the 7′ minute with an assist from Sarah Reddish. 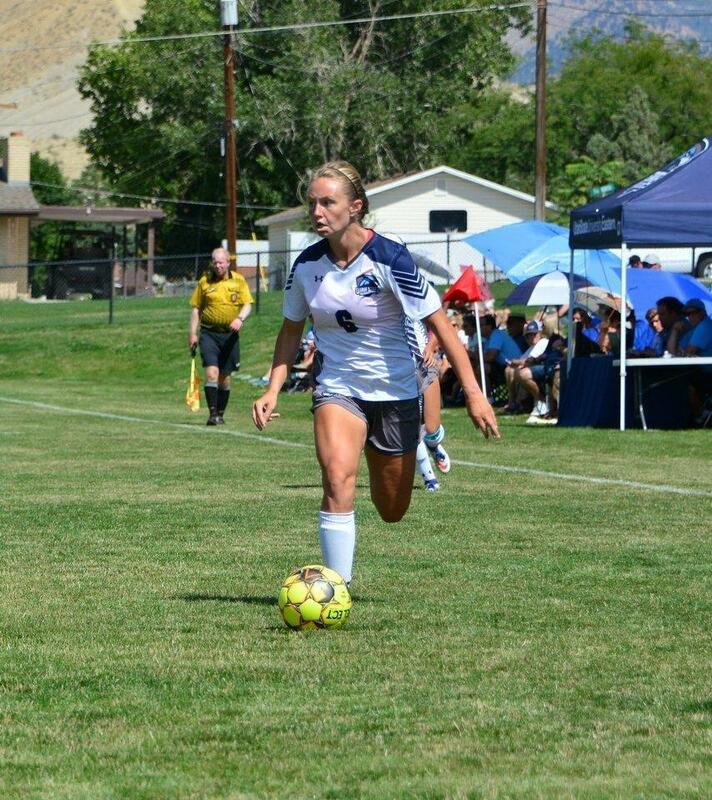 She added another goal less than ten minutes later with an assist from Morgan Cragun to put the Eagles ahead 2-0. 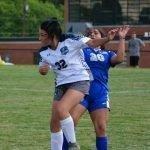 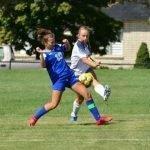 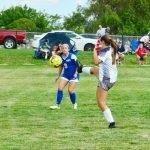 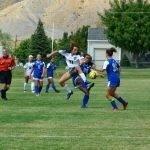 “She had a great game Friday. 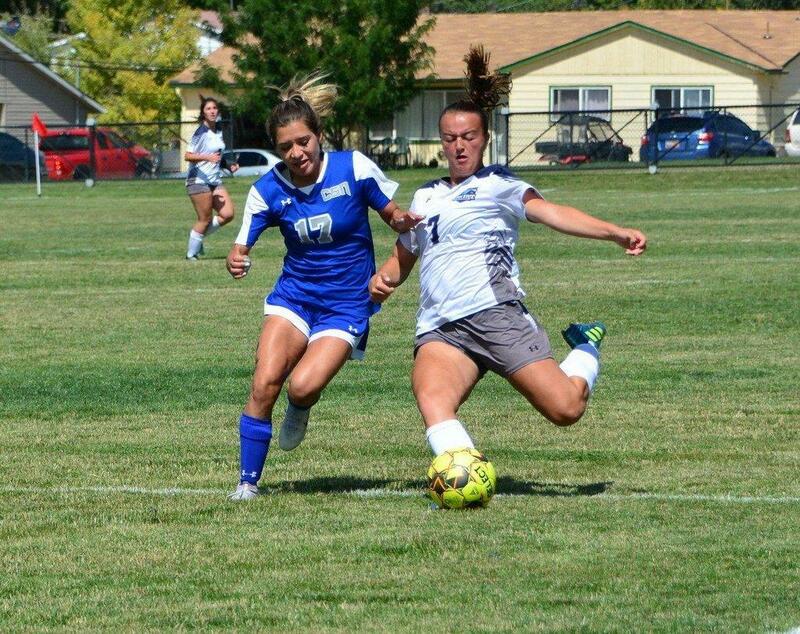 She came out with an intensity that was contagious for the team. 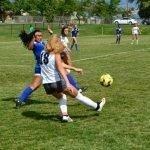 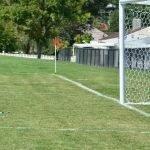 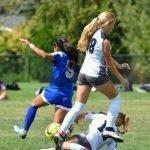 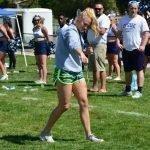 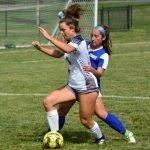 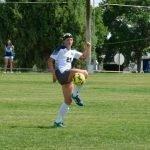 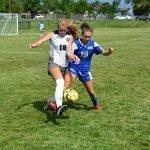 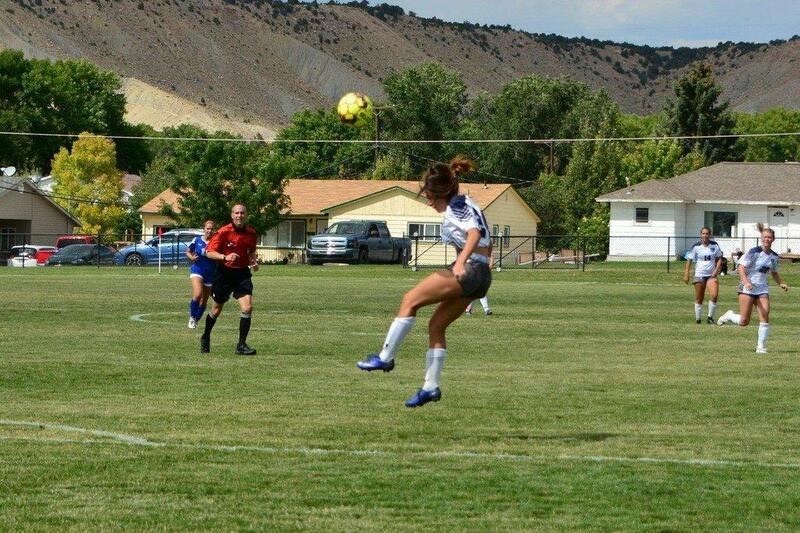 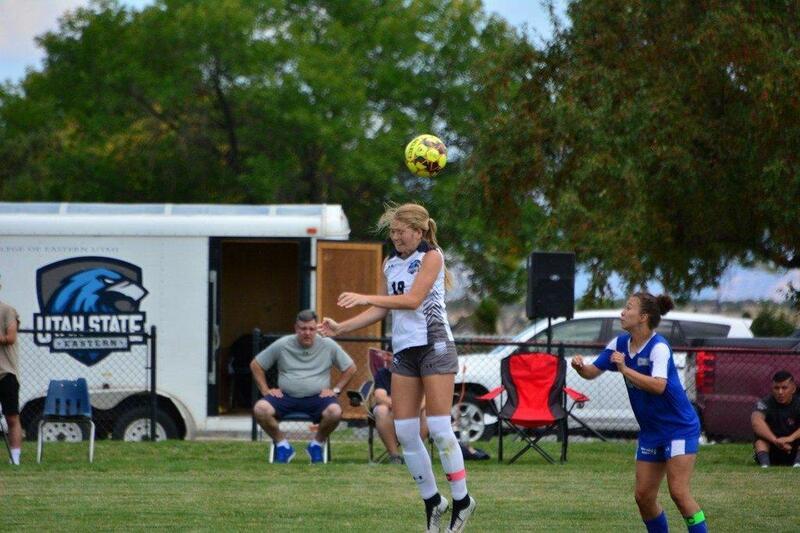 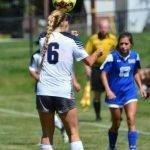 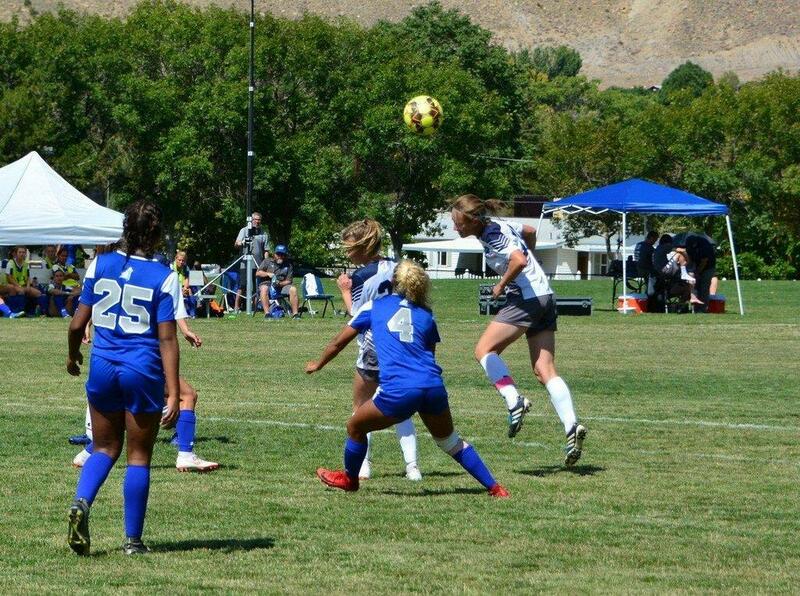 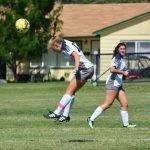 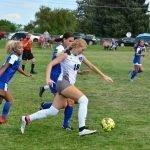 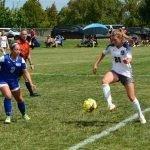 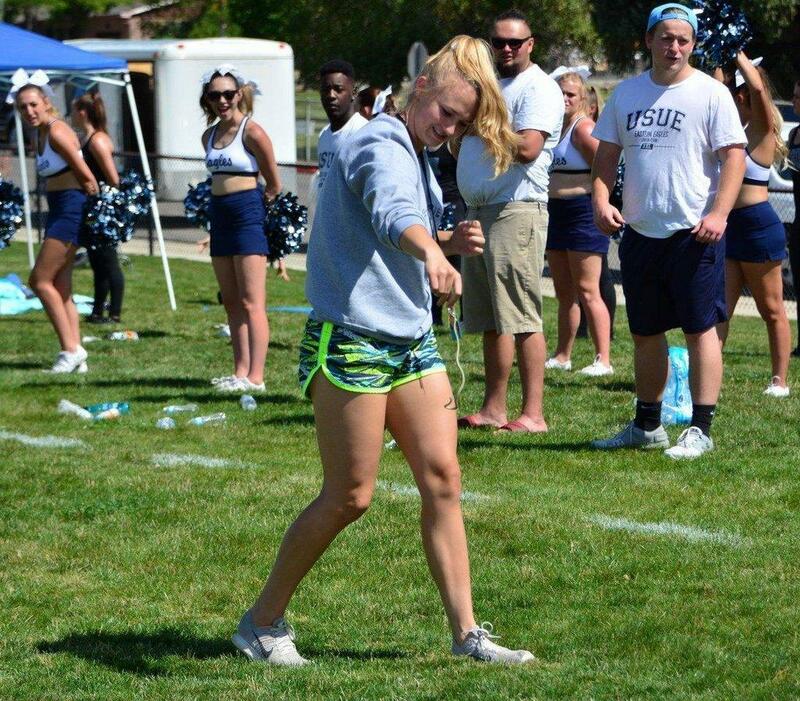 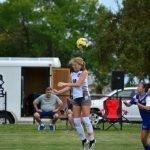 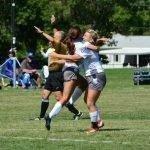 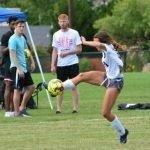 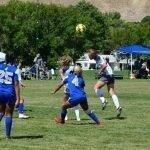 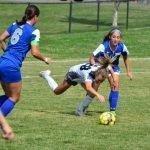 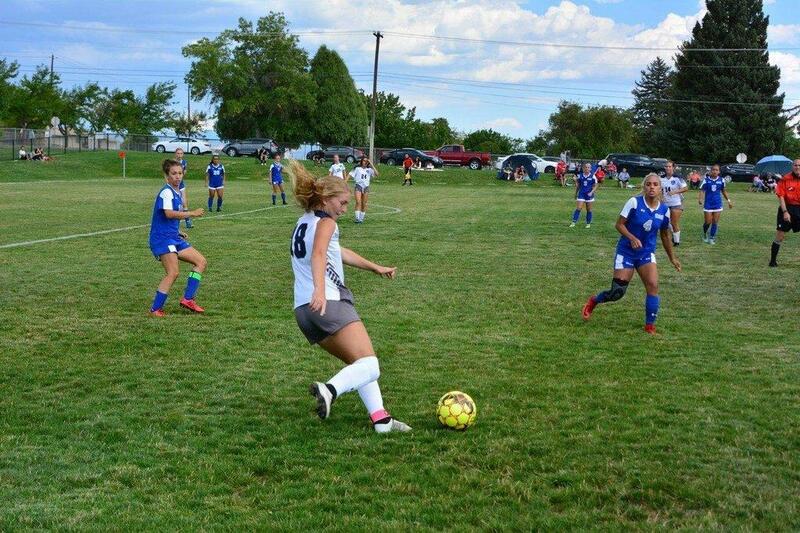 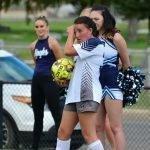 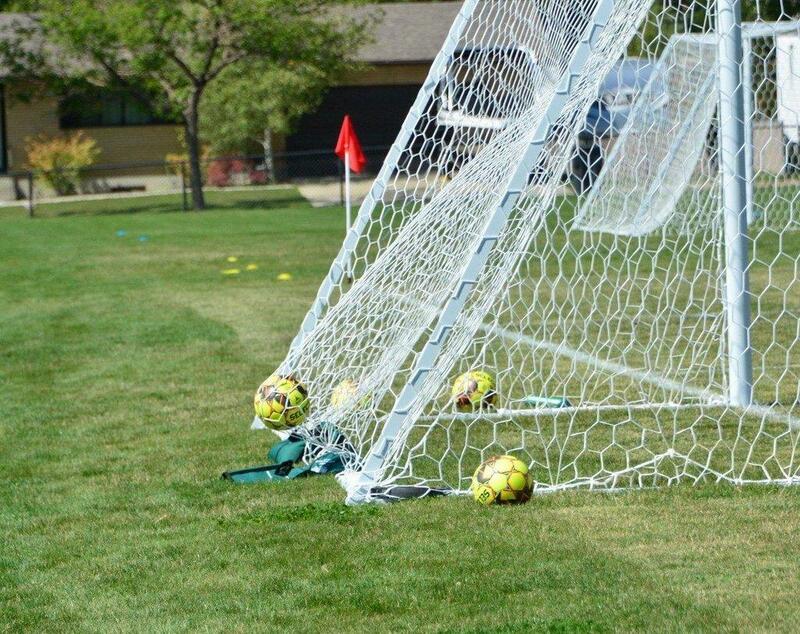 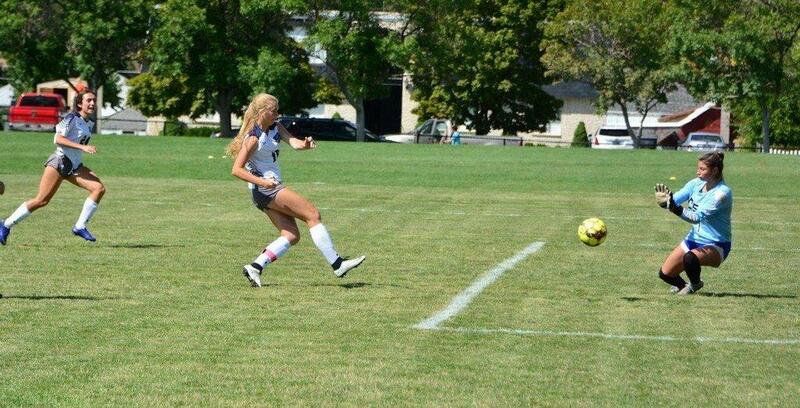 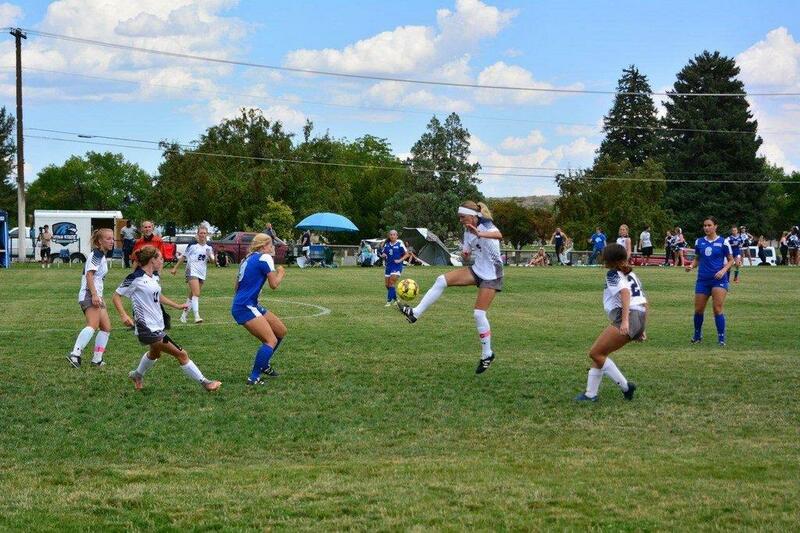 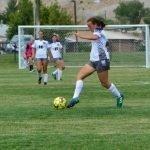 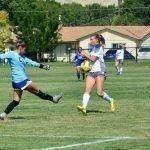 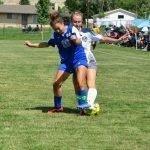 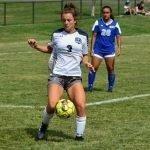 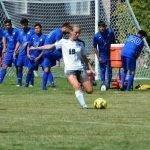 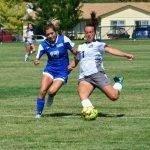 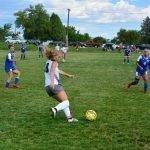 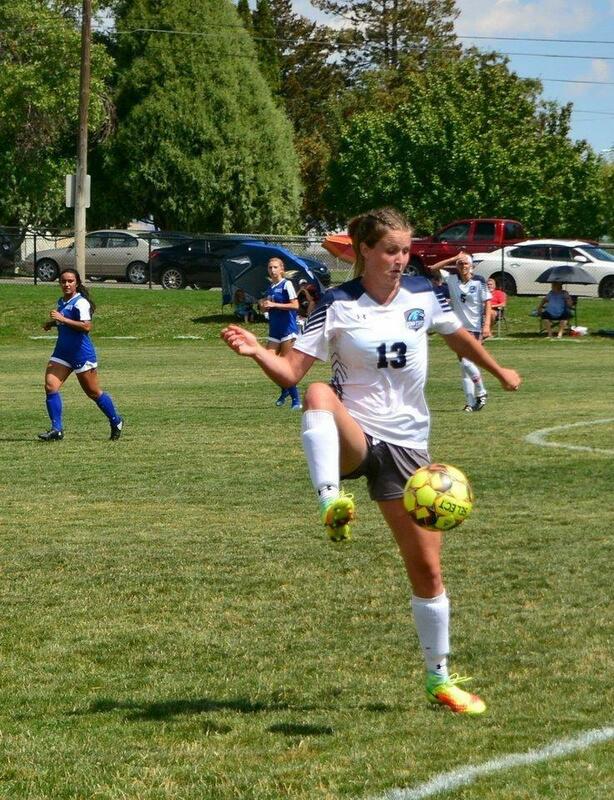 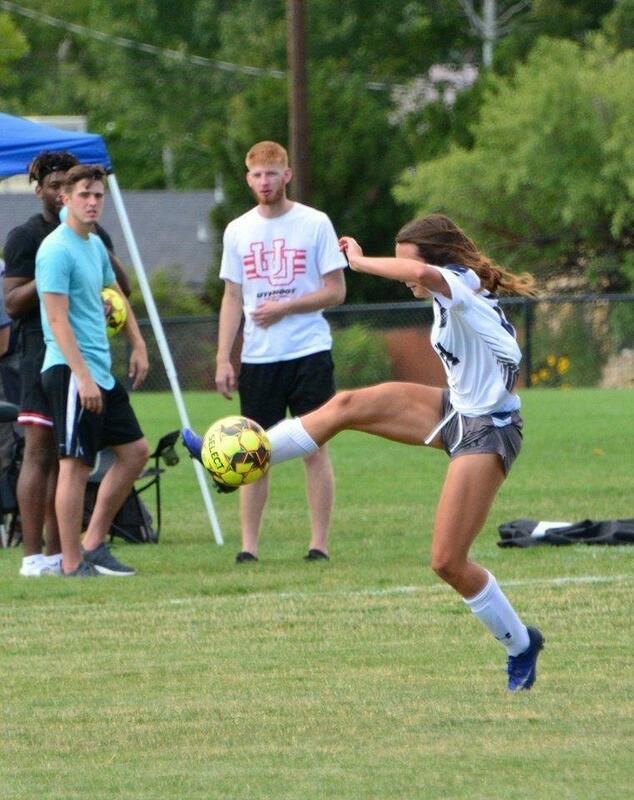 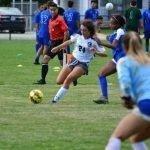 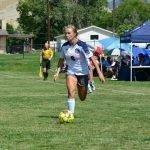 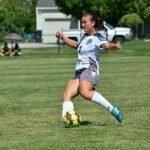 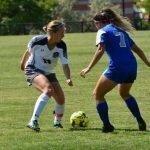 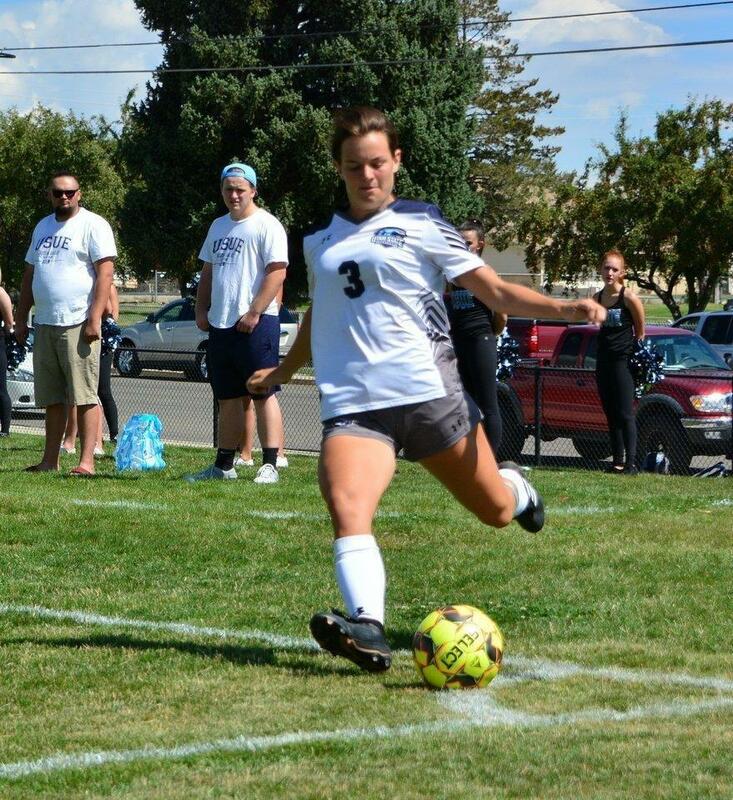 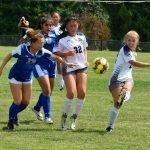 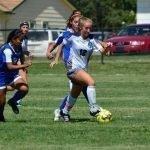 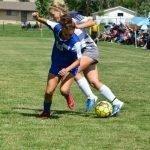 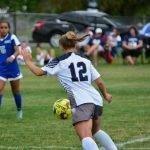 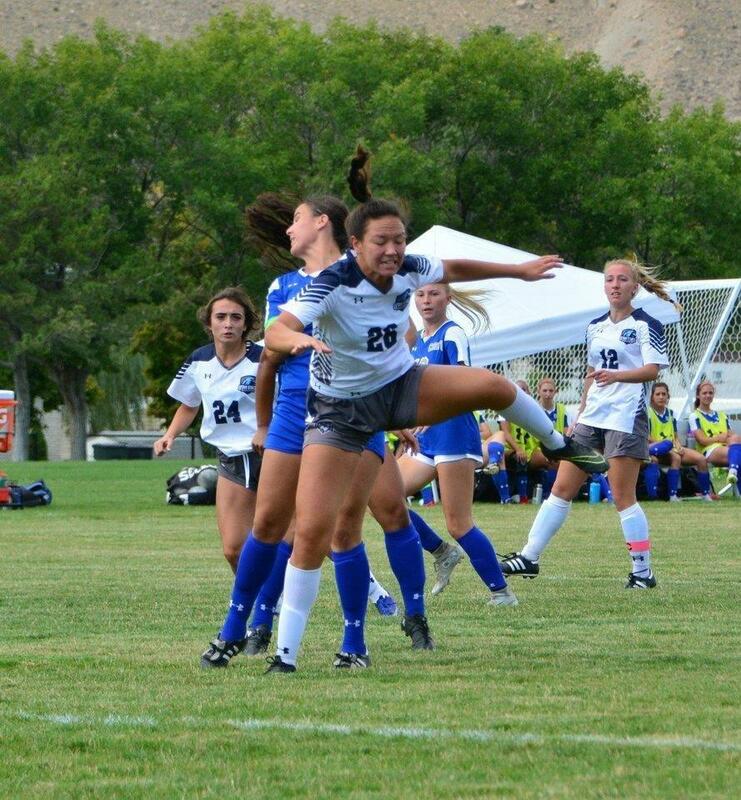 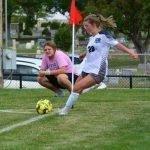 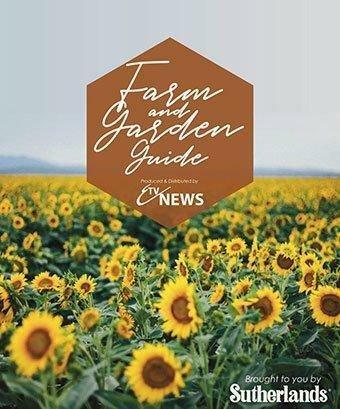 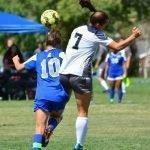 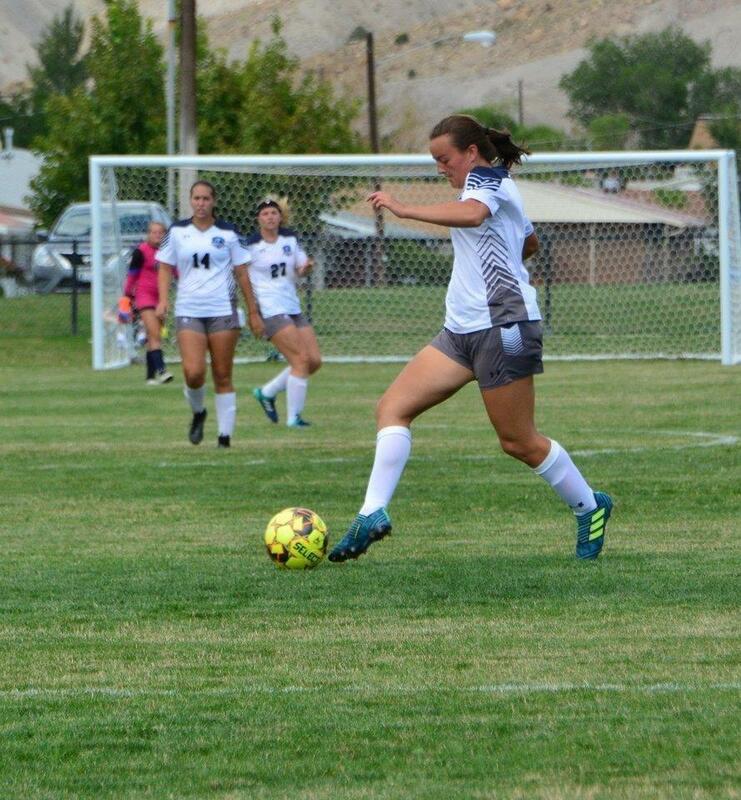 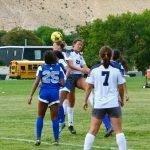 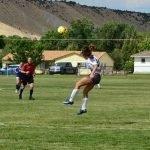 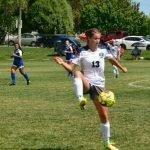 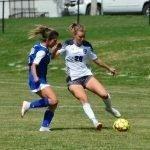 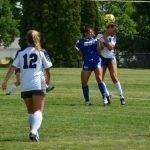 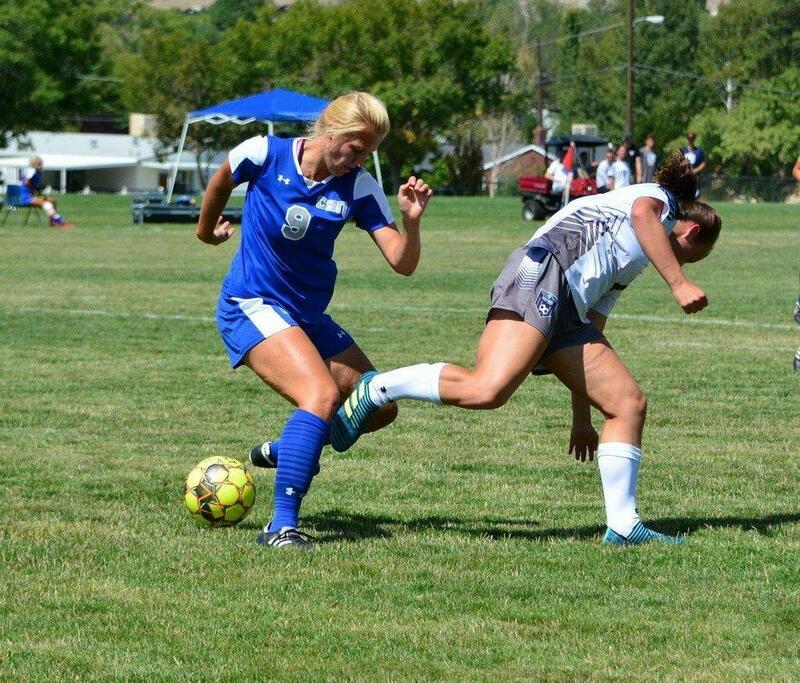 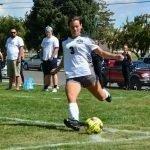 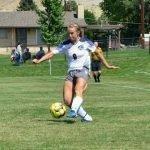 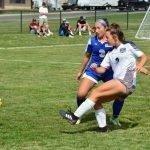 She’s a consistent finisher and is only getting better,” said USU Eastern sophomore Anna Towne. 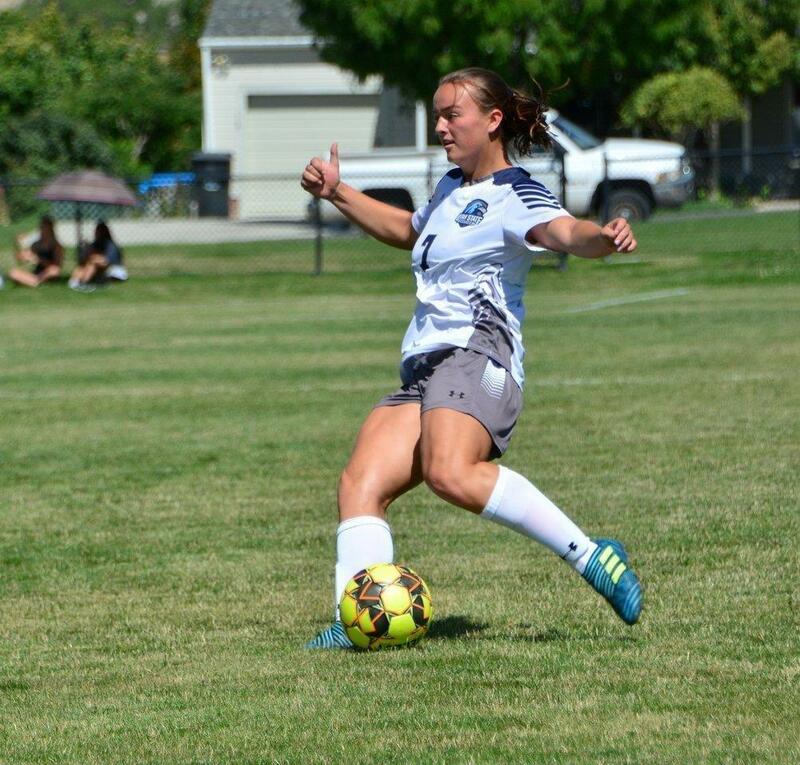 Southern Nevada’s Ashlee Jordan would put the ball in the back of the net in the 29′ minute to cut the Eagle lead to 2-1. 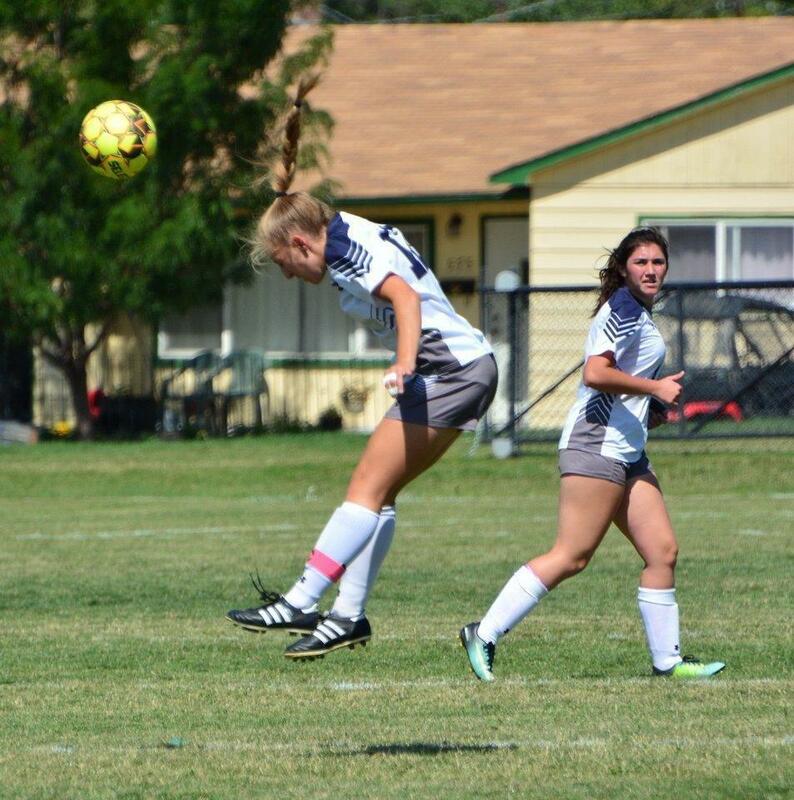 After halftime, the Eagles struggled and let the Coyotes get back in the game. 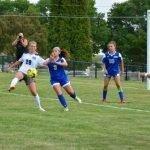 “We kind of coasted and chased them around and stopped possessing the ball. 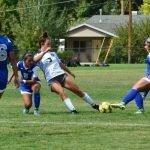 They played aggressive and were high pressing and it go to us,” said USU Eastern head voach Ammon Bennett. 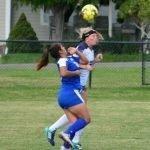 In the 65′ minute, CSN’s Brianna Duran scored the equalizer to put the game at 2-2. 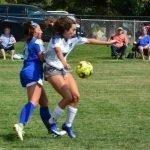 The game went through two overtimes periods with a few missed opportunities from both sides to get the win. 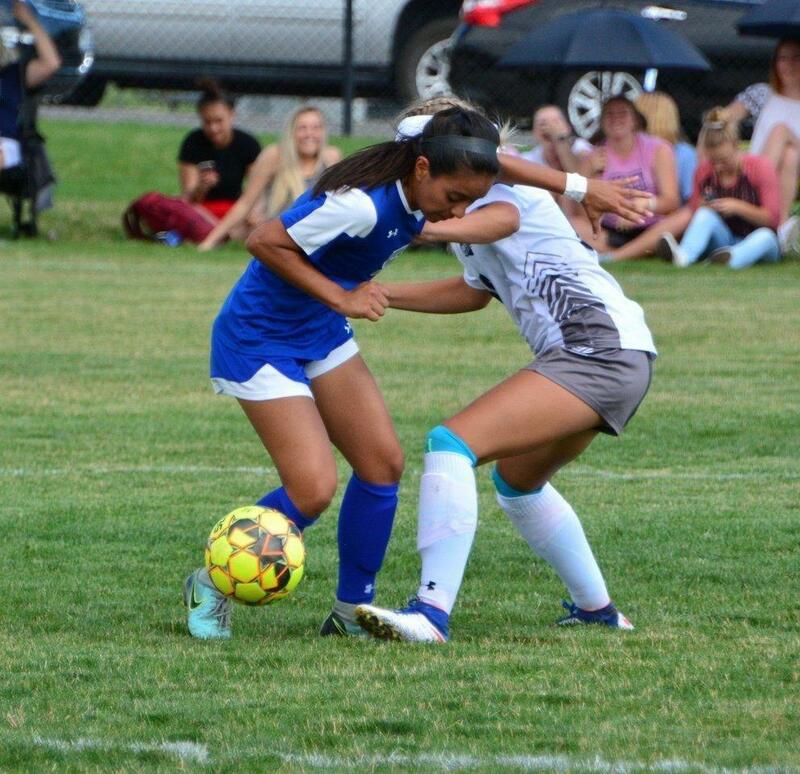 “Logan Duran had some great looks on goal in overtime, but we just weren’t able to get the finish we were going for,” said Towne. 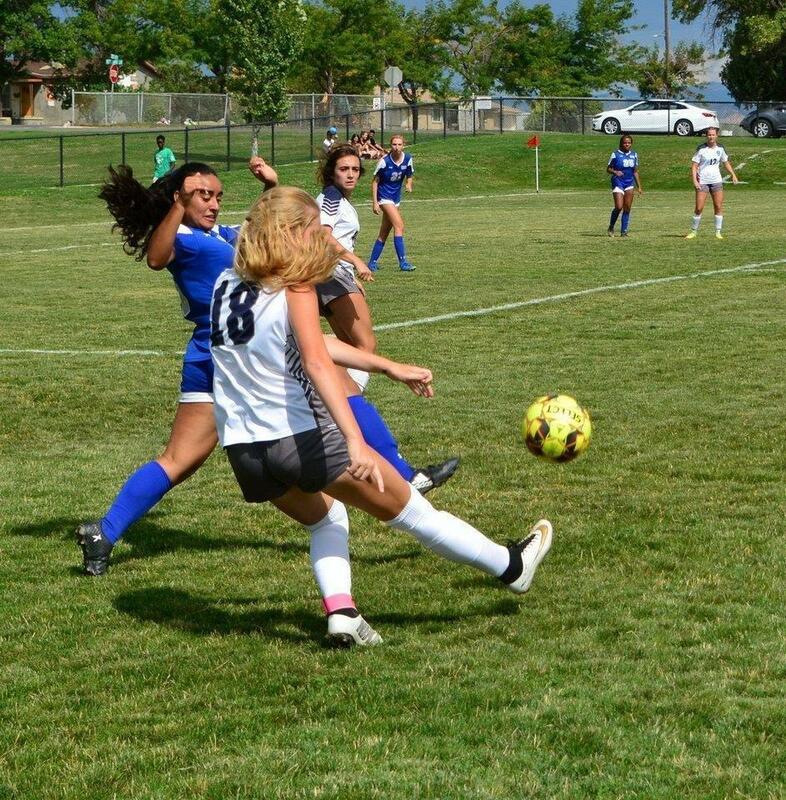 The Eagles bounced back on Saturday with a 2-0 shutout over the Coyotes. 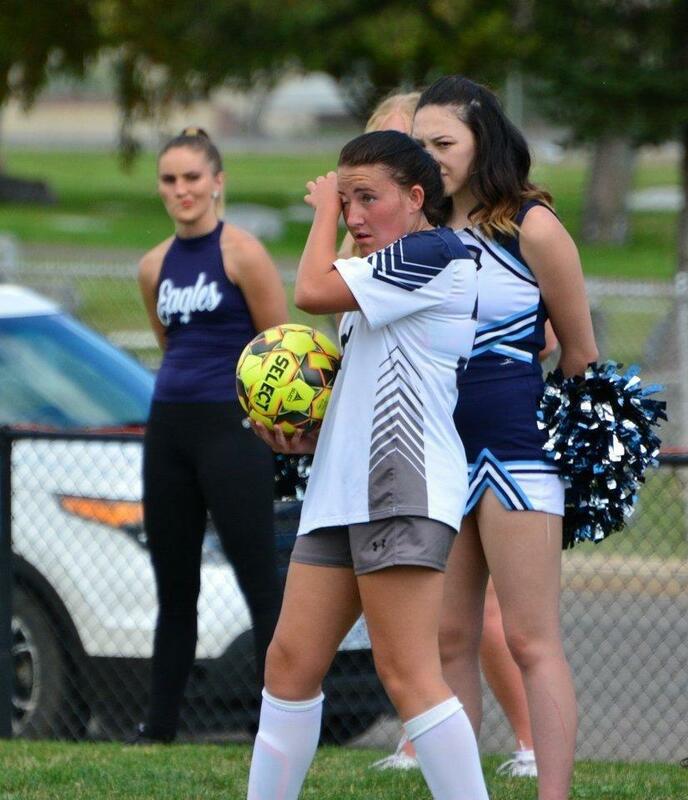 “They didn’t change anything; all we did was change our thought and played some defense,” said Bennett. 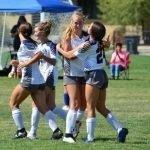 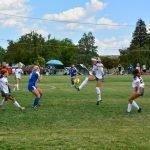 Defenders Ellie Putnam, Madison Nicholls, Towne and Reddish had a great day limiting the Coyote offense. 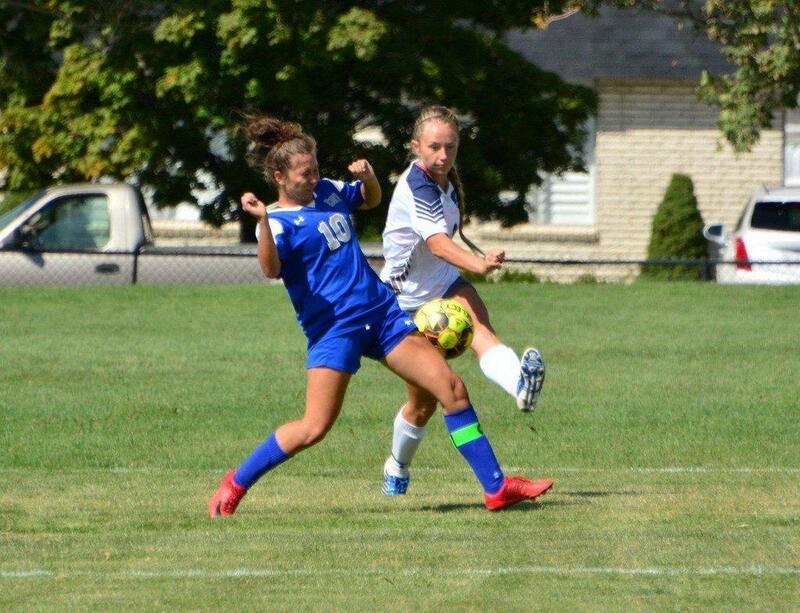 “We had a good defensive shape throughout the field, we have been working on our shape during the practices and I think that helped,” said Putnam. 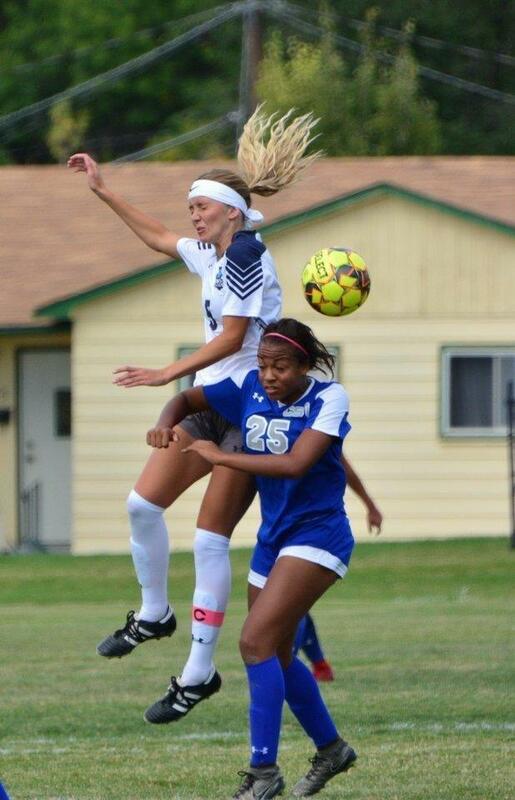 On offense, the Eagles got another goal from Wiscome in the 40′ minute to take the lead just before half. 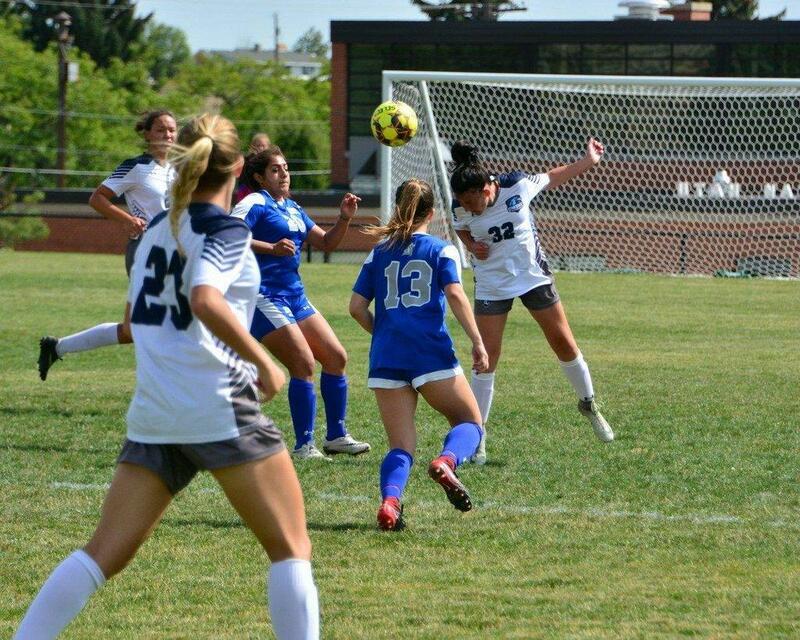 After halftime, the Eagles put another goal in within the first 15 minutes from Duran. 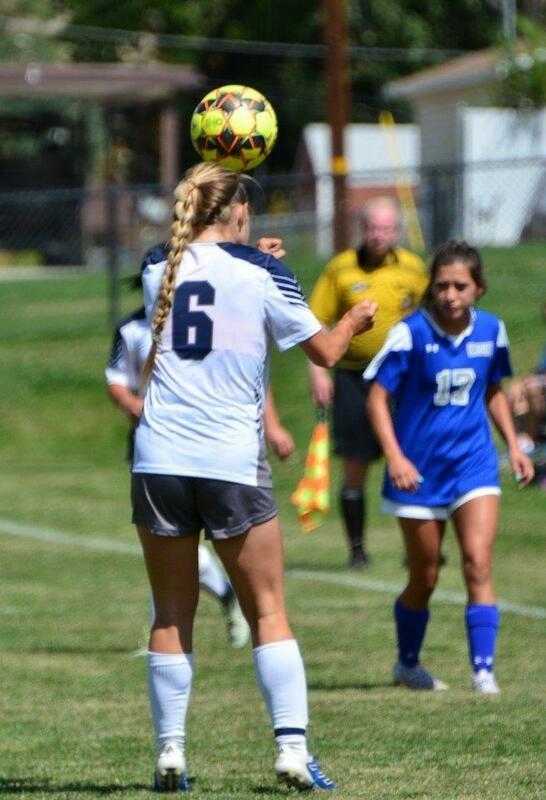 Putnam said after the game that Saturday’s success came from the chemistry of the team and settling into their positions more. 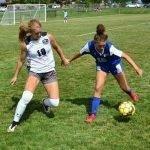 “We were more connected and possessed the game a lot better. 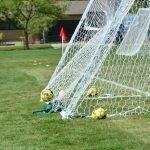 We were able to move the ball across the field more smoothly and collected than yesterday,” said Putnam. 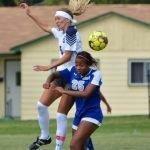 Saturday’s win moves the 20th ranked Eagles overall record to 4-0-1 and 1-0-1 in conference play. 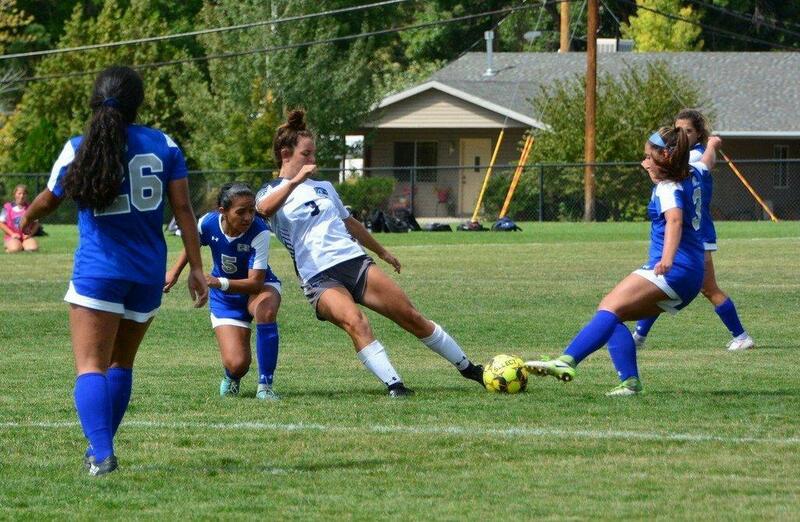 USU Eastern will hit the road this week to take on the Salt Lake Community College on Friday and Saturday. 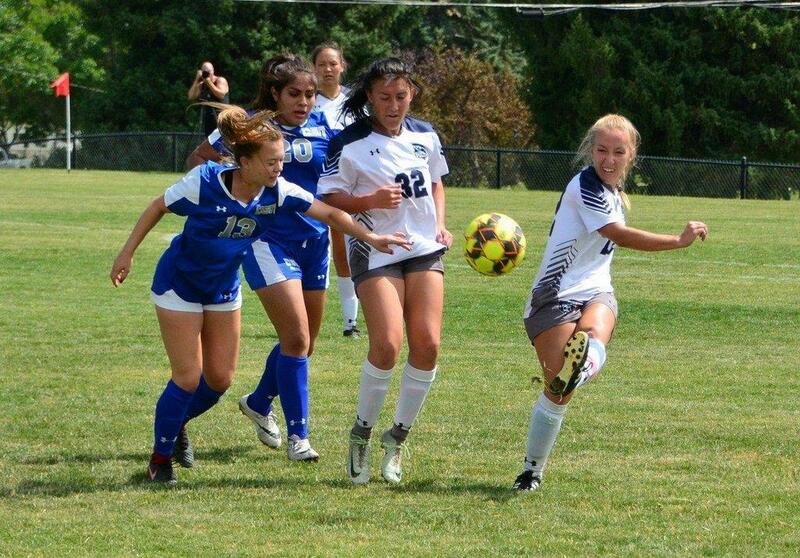 The Eagles will return home on Saturday, Sept. 22 for a non-conference game against Otero Junior College.